What can we say... there's rarely a dull moment for the Seeing Double duo! 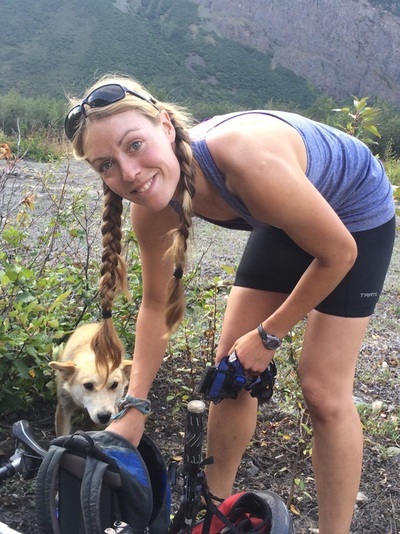 There's been a lot going on since Kristy and Anna got off the Iditarod trail. Here are some of the highlights from the Spring, Summer, and Fall of 2018. 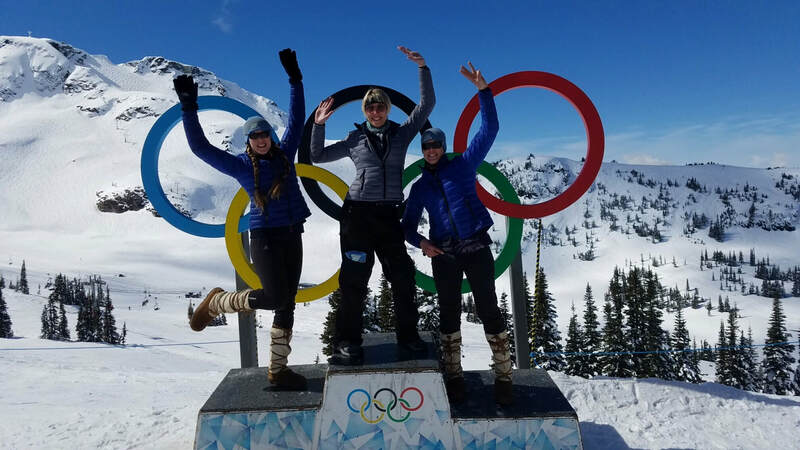 When the gear was unpacked from the Last Great Race, Anna and Kristy hopped a flight to Vancouver, British Columbia, where they met up with sis Kat and participated in an event with sponsor Polar Asset Management Partners. 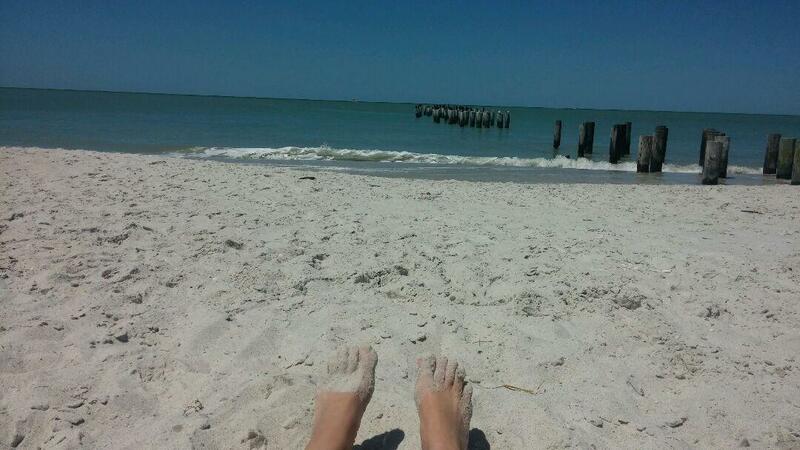 Awesome scenery, great folks, delicious food, and a chance to relax a bit! 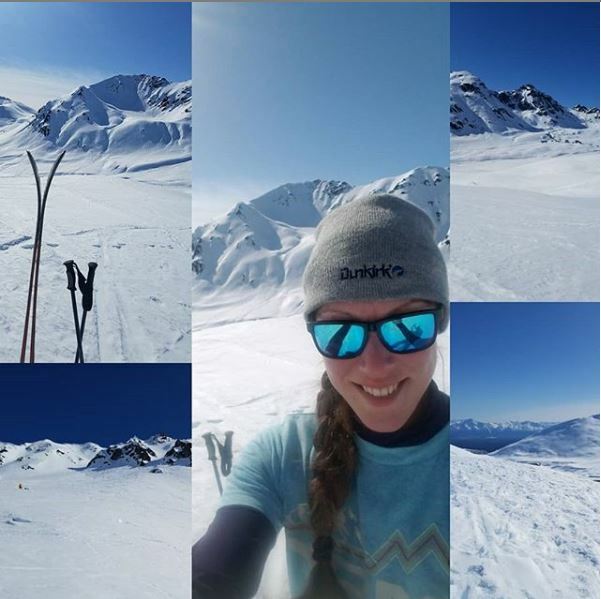 From there, it was back to Alaska for a little late season skiing in Hatcher's Pass and Alyeska in Girdwood. Other travels had Kristy and her husband Andy visiting family in Minnesota, before meeting Anna and other family in northern Wisconsin mid-summer. 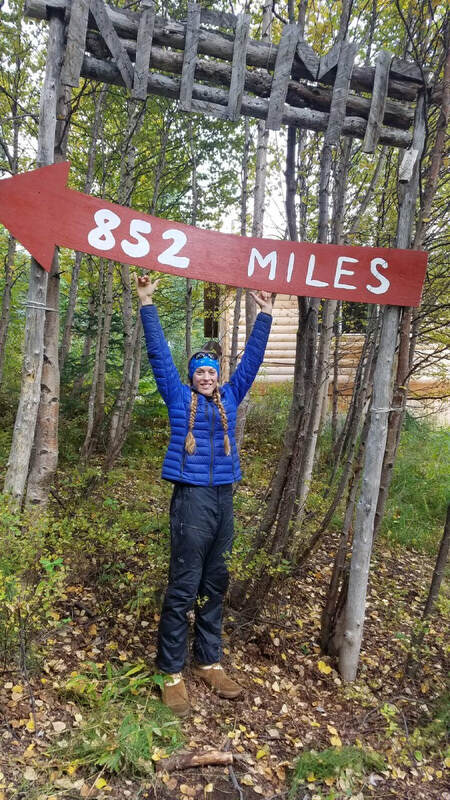 On the way back to Alaska, Anna swung through Colorado to visit our Grandfather (98 years young in late November, bless him). Business had to be taken care of... there was work for a landscaping company and nursery, lots of work with trees and a revegetation project. 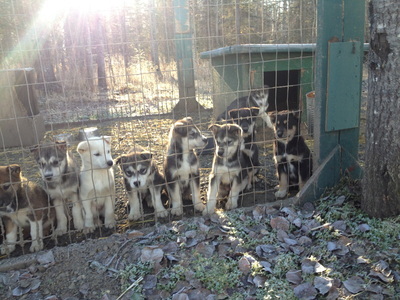 Of course the twins had to manage their own kennel, caring for and feeding all their own dogs. But they also worked for friend and local musher Tom Knolmayer at his kennel. 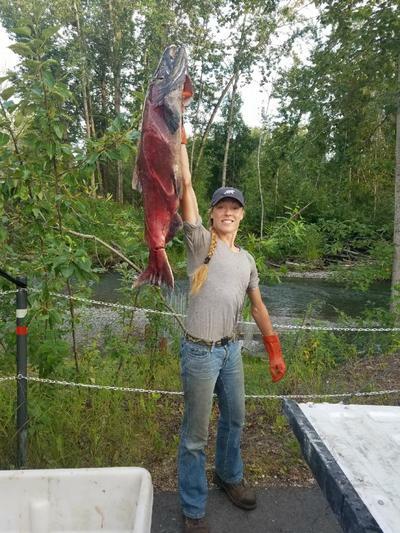 There was personal-use fishing and dip-net fishing down on the Kenai. 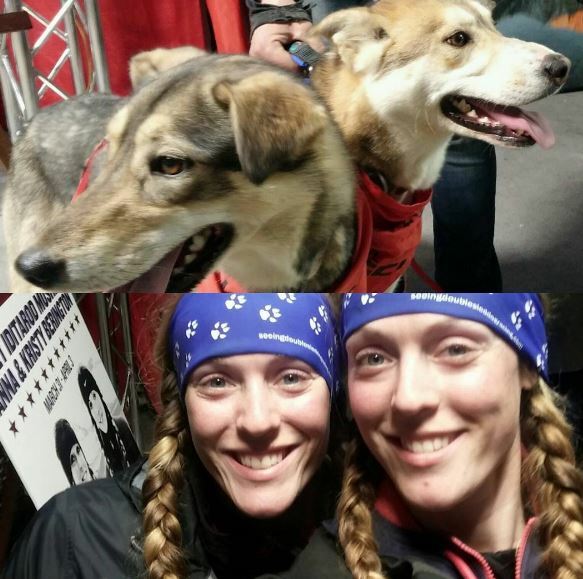 Anna and Kristy participated in a number of "dogless" events ~ marathons, triathons, and biking events. In the fall, they brought their canine friends back into it for some Canicross. 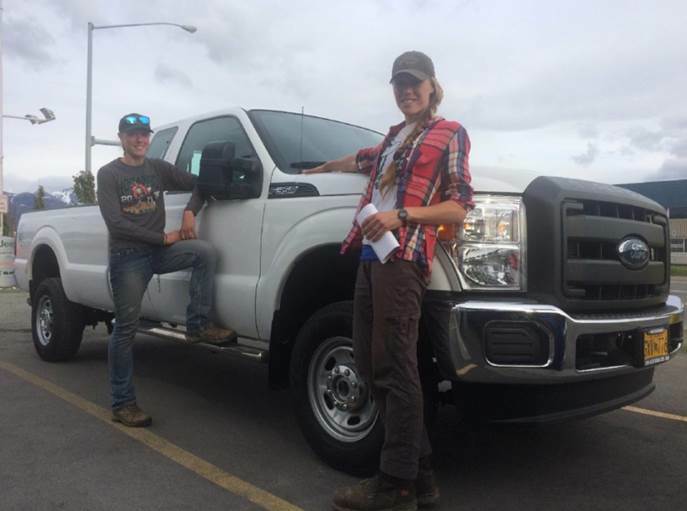 The twins were also busy truck and trailer shopping, putting together their new rig in various steps over the summer and fall. 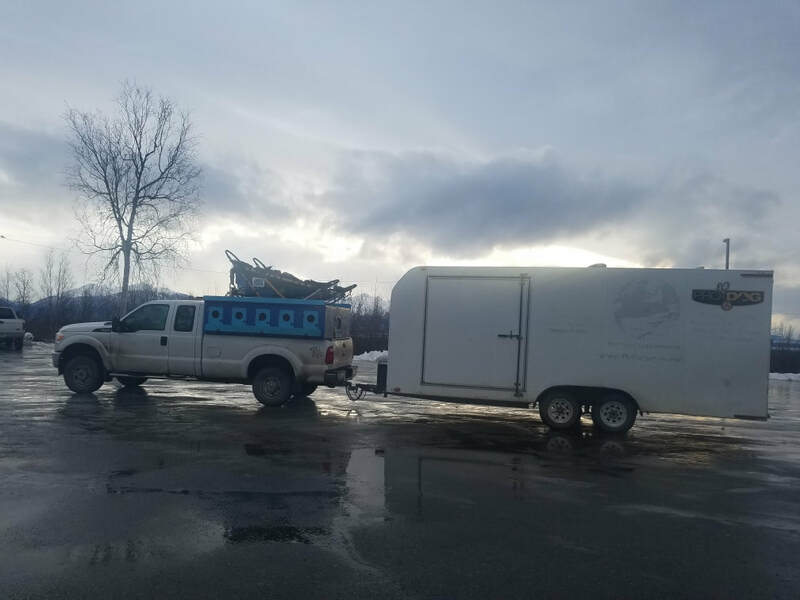 Be sure to read about our GoFundMe campaign! And sponsorships for the coming season had to be renegotiated and/or secured (and, man, is that important!!). 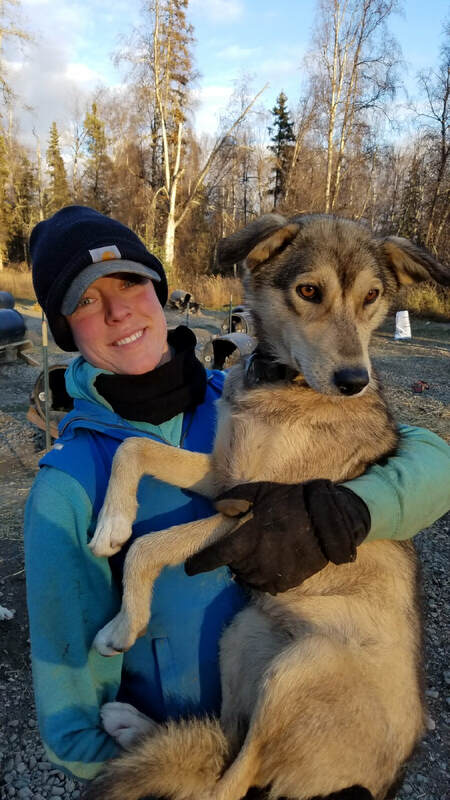 Of course, there had to be a little off-color excitement... Kristy and fellow musher Dr. Tom had a very close call in early November while on a training run (read about it here, and - don't worry - everyone is ok... the two dogs of Tom's that were injured are well on the mend). 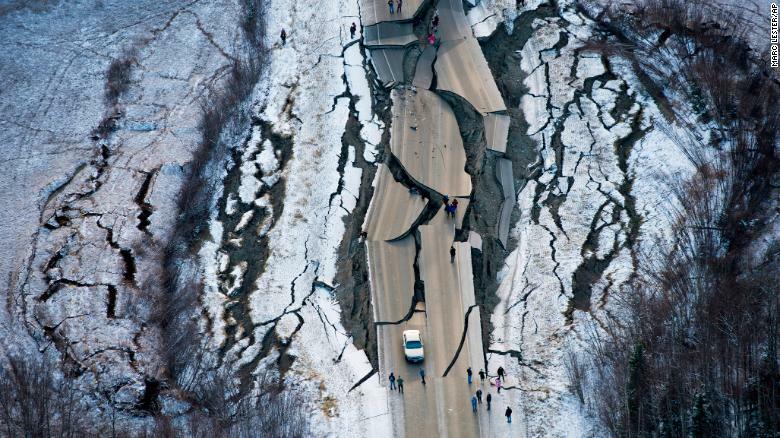 And there was a pretty big shaker of an earthquake late in the month. 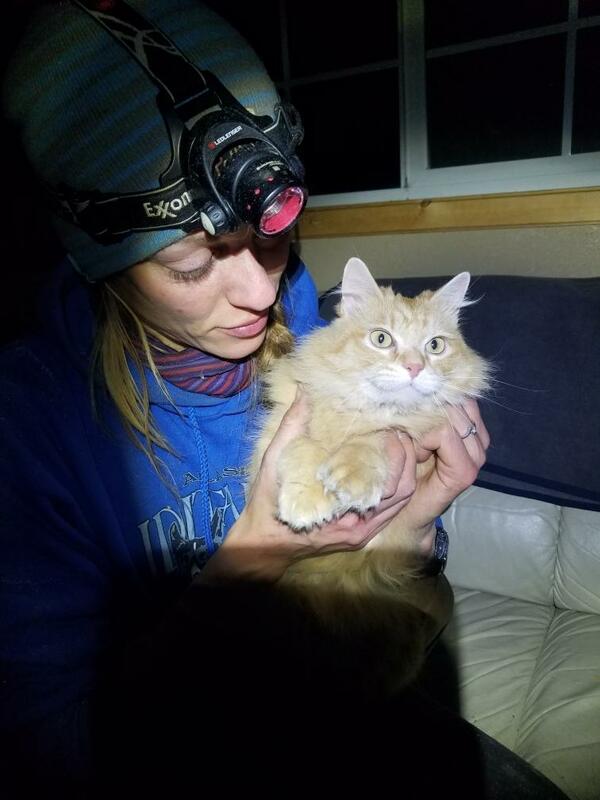 The 7.0 quake shook up the twins' house and scared the house cats, but no other damage or harm reported, other than a little mess from things rocking off shelves. Fall training was underway, in short clips, in August, and we've been ticking up the miles since. Snow has been a bit fleeting in our immediate vicinity to start the winter, but we have faith. If that fails, we have a nice new truck and trailer to drive to better training ground! As of this writing, we've completed our first race of the season with the Alpine Creek Excursion (ACE) race in early December. We'll be back with a mid-distance race recap later in the season. Until then, watch for posts to our Instagram! We hope everyone had a safe and fun holiday season, and Happy New Year! To say Kristy and Anna have been busy since they wrapped up Iditarod 2017 would be a pitiful understatement. Look up synonyms for 'busy' and pick your favorites, put them all together, then multiply by two. That gets much closer. 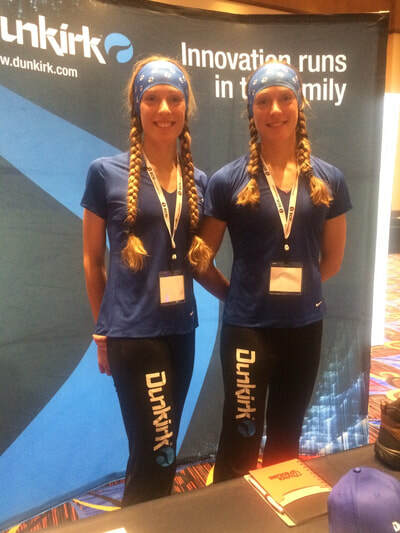 After unpacking from the last great race, the twins packed smaller personal bags and headed to Whistler, British Columbia, to attend an event with sponsor Polar Asset Management Partners in early April. 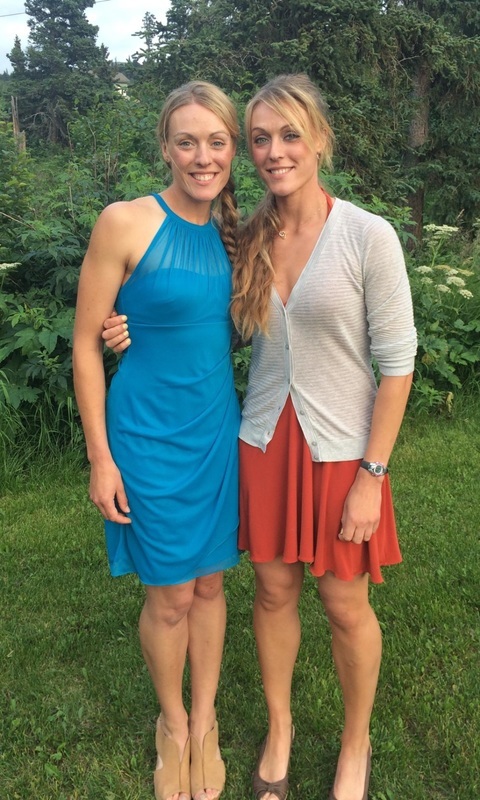 The scenery and hospitality were stunning, and having sister Kat there was an added bonus. 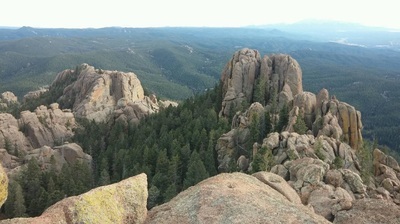 Not long after, Kristy and fiancé Andy went to Colorado to see family. 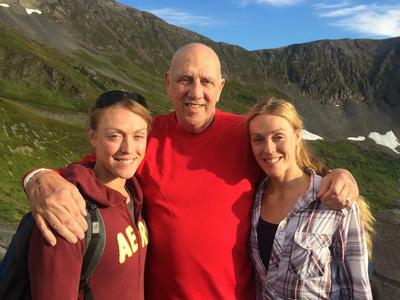 They weren't back in Alaska long before the traveling baton was passed to Anna, who made a quick trip to Toronto to see Kat in May. 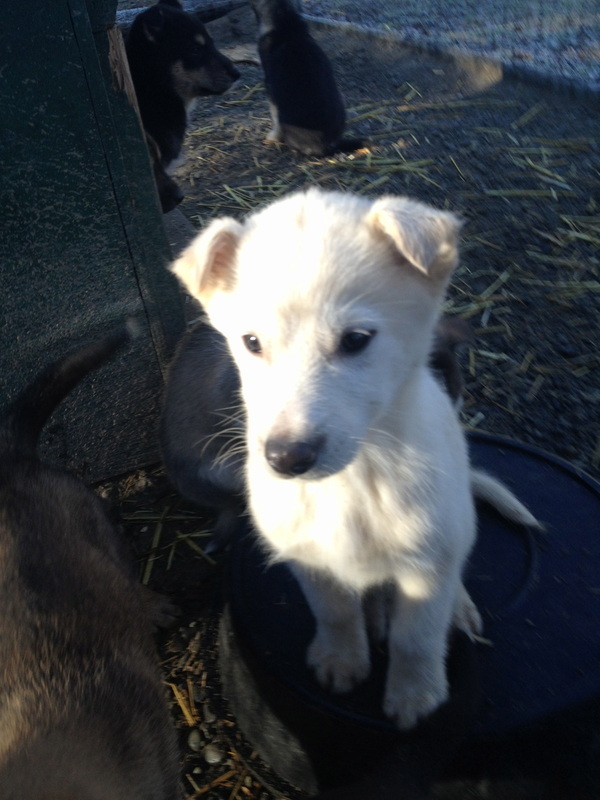 Our first litter of puppies of the year arrived as well! 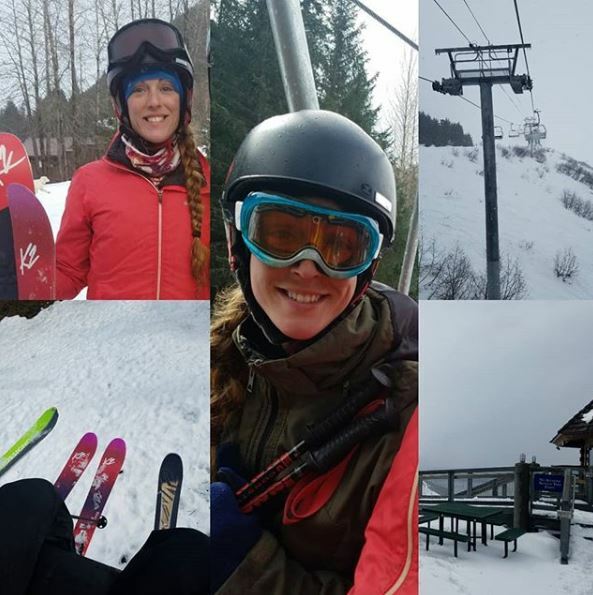 The Berington sisters goof off a bit in Whistler. Kat, her dog Cinco, and Anna check out Woofstock in Toronto. 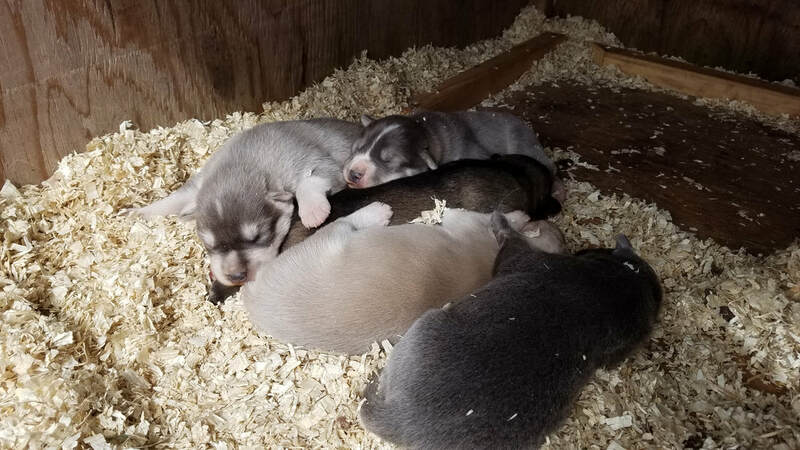 Our first litter of pups! Adorable. June 17: Mayor's Half Marathon, 02:05:59. 32nd of 133 F30-34, 358th of 1,401 overall. Aug. 19: Anchorage RunFest 49k (30.4 mi), 04:49:52. 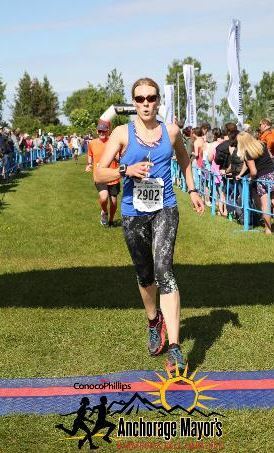 2nd of 10 F30-34, 4th of 30 Female, 23rd/100 overall. 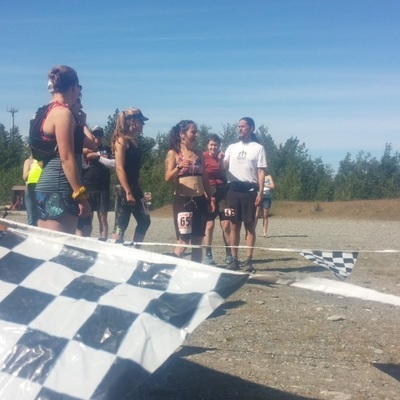 Sept. 5: Party at the Beach 24hr Ultra Trail Run. Champion, running nearly 88 miles during the 24 hour period. The trail was a 4 mile loop, mixed with rolling hills and flat stretches. The elevation changes add up to 3500 feet for every 24 miles. Kristy set a new course record. 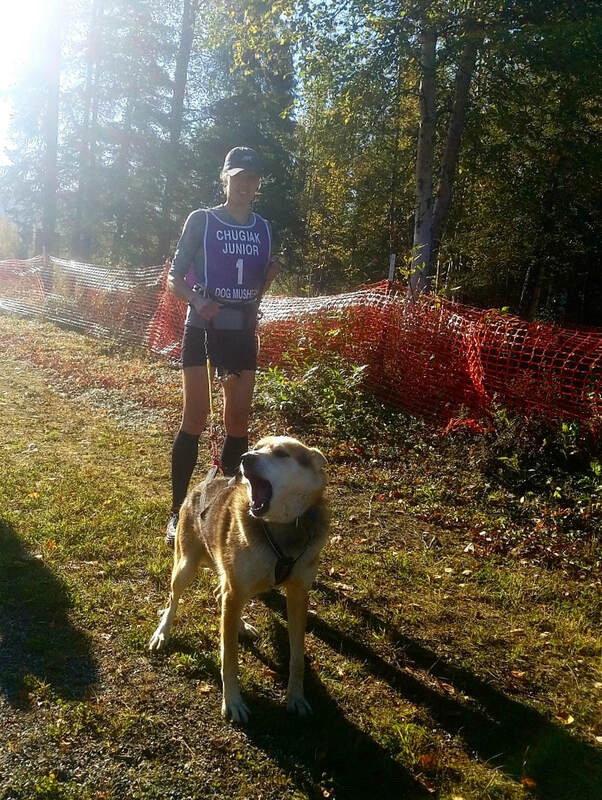 Sept. 24: Kenai River Marathon, 04:05:05. 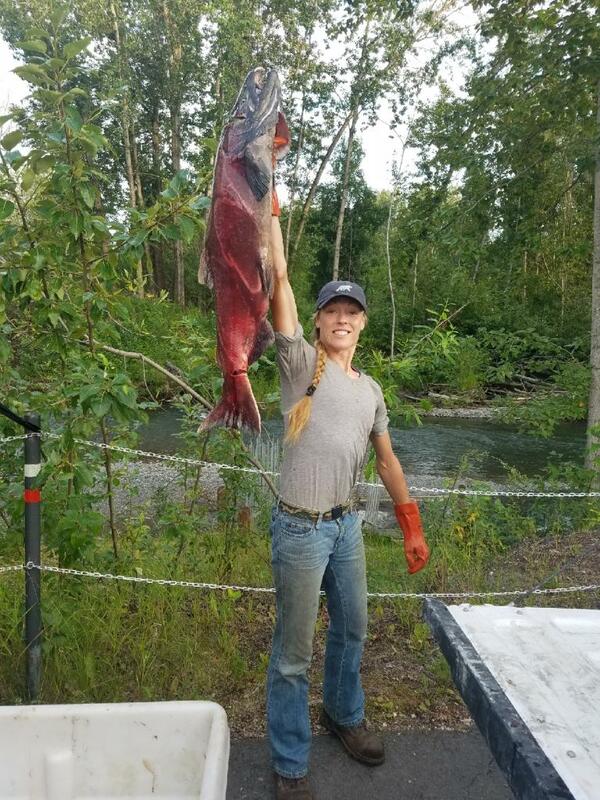 4th of 23 Females. 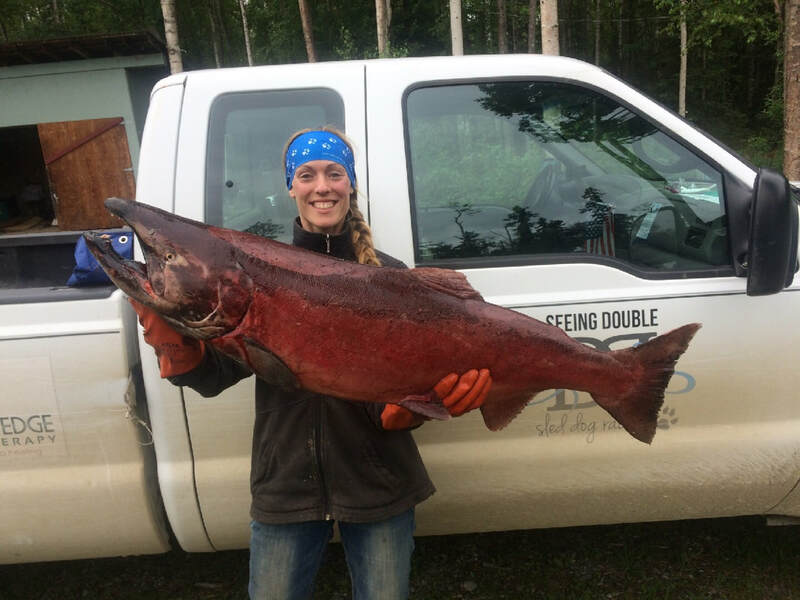 Anna was done with fishing season in time to join Kristy in the Kenai River Marathon, finishing 6th about a minute and a half later. 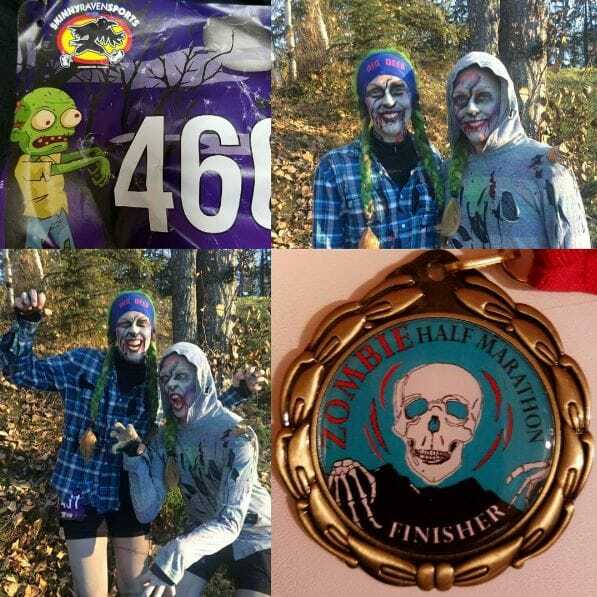 And once again both twins ran the Zombie Half Marathon on Oct. 14th. 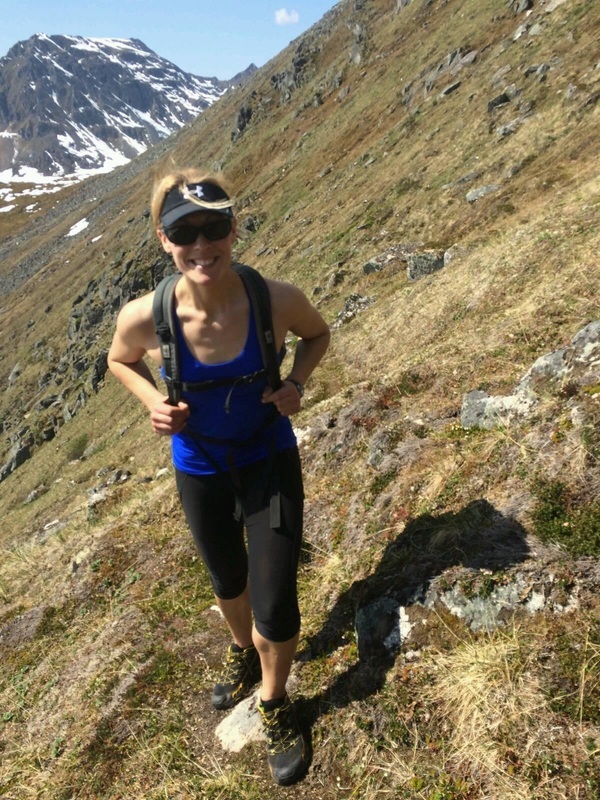 Kristy finished 24th of 82 females 30-34 (291/691 overall) after 2h 2m 54s. Anna wasn't clowning around when she finished right behind her in 25th (2:03:02, 293rd of 691 overall). Click below to enjoy the gallery, more following. That seems like it might be enough to satisfy the earlier 'busy' qualifier, right? Not by a long shot. 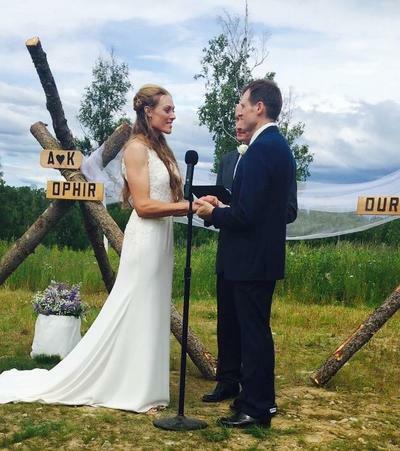 Kristy and fiancé Andy Pohl got married on July 1st. It was an amazing outdoor ceremony with beautiful weather and an abundance of family and friends. Unfortunately, life often offers up some bitter to counter the sweet, as the twins experienced when their father passed away shortly after. He will be missed. With support from each other and family, Anna and Kristy pressed on with the summer. They took a trip to Rhode Island and Maine to attend an event with sponsors Dunkirk and ECR International in August, fitting a bit of fun in on the side. And in September they had some great adventures filming an episode with BuzzFeed (stay tuned for details on where you can find it when it airs). 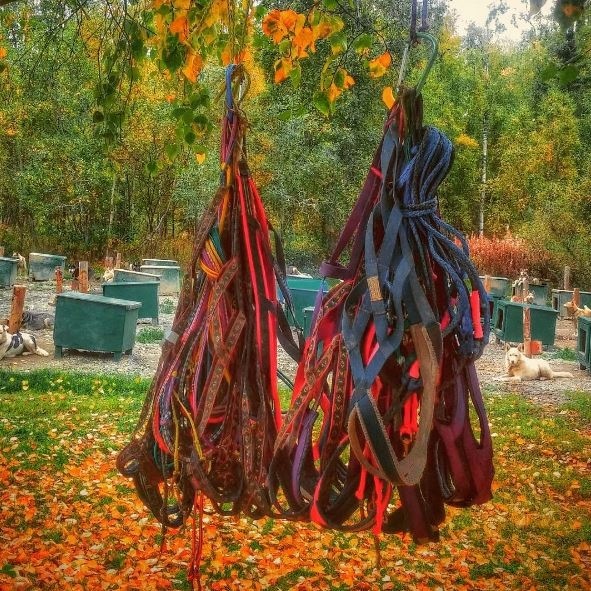 With the first snows already lightly dusting the kennel in Knik, Kristy and Anna are busy with fall training for 50 Iditarod dogs. 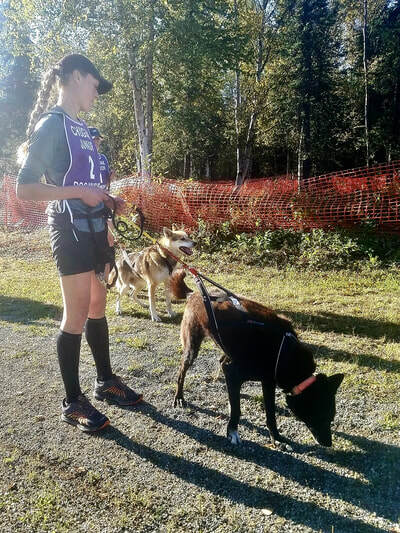 Anna, Kristy, and Andy will all be racing Seeing Double teams in Iditarod 2018 and registered for the race in June. The kennel's first mid-distance race is in early December and will be here in a blink. 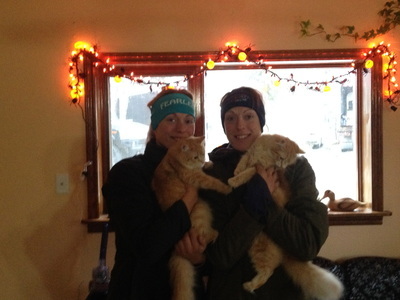 The twins also have one more 2-legged race on the circuit in December with the Solstice half or full marathon. There is never is a dull moment when you're Seeing Double! We hope all of our readers had a great summer and we hope you'll join us for another mushing season. Ok, we won't lie... we're actually happy we're getting a wrap-up of the summer and fall posted before New Years! As usual, things have been busy, though, so hopefully you'll understand and maybe even forgive the tardy update. 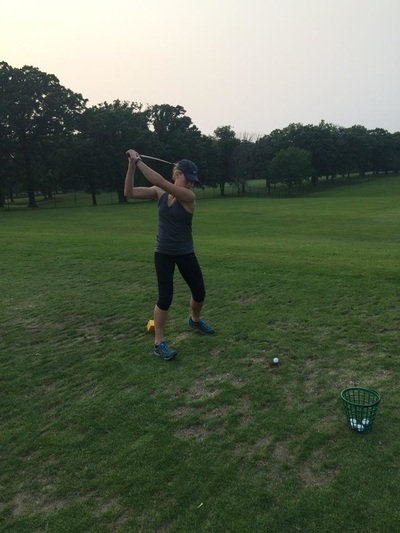 August and the first part of September were focused on work, marathon training and events, and family affairs. 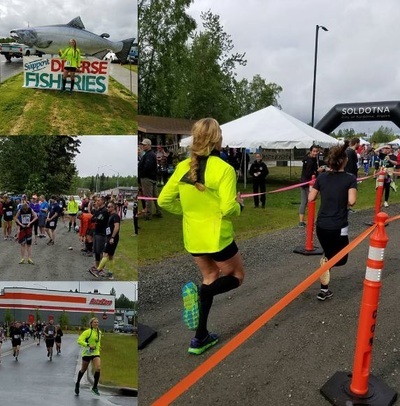 We competed in the Anchorage RunFest Half Marathon on Aug. 20th, pleased with taking 14th and 15th of 74 in our Female 30-34 category. 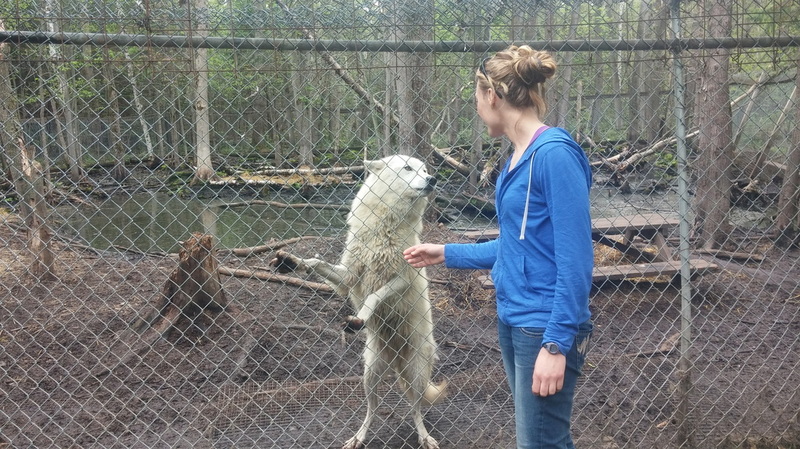 In late September, we stopped for a quick visit with our mom in northern Wisconsin before heading to Curtis, Michigan, for the 2016 Midwest Sled Dog Symposium. It was a fun event and we were honored to be featured as the event's Keynote Speakers. After the symposium, we carved out a few days to visit sister Kat in Toronto, seeing the sights and also giving a brief presentation to employees at new sponsor Polar Asset Management Partners. We weren't back in Knik long before competing in the Zombie Fun Run and Half Marathon October 8th. 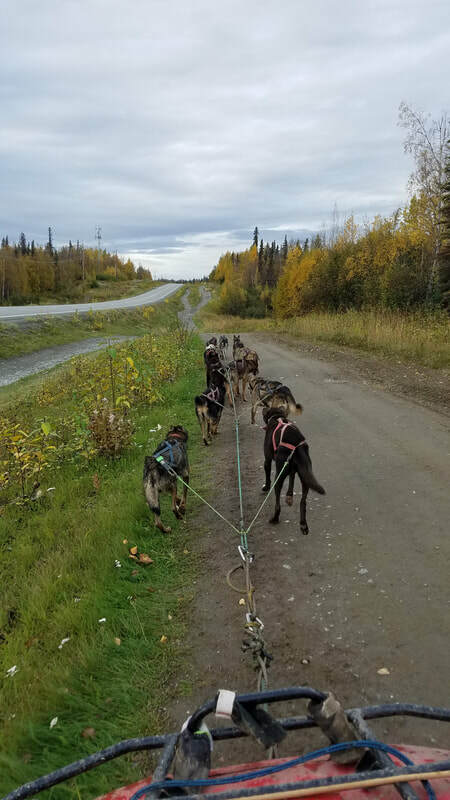 With increased snow sightings and decreasing temps, our training with the dogs ramped up, taking up much of our time as fall turned to winter. 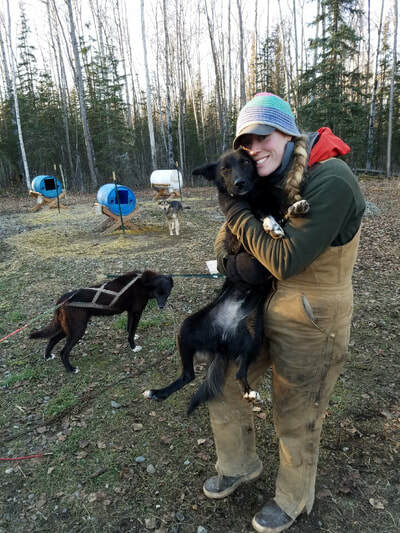 We competed in our first sled dog event of the season (check out our Mid-Distance Race Blog next!) 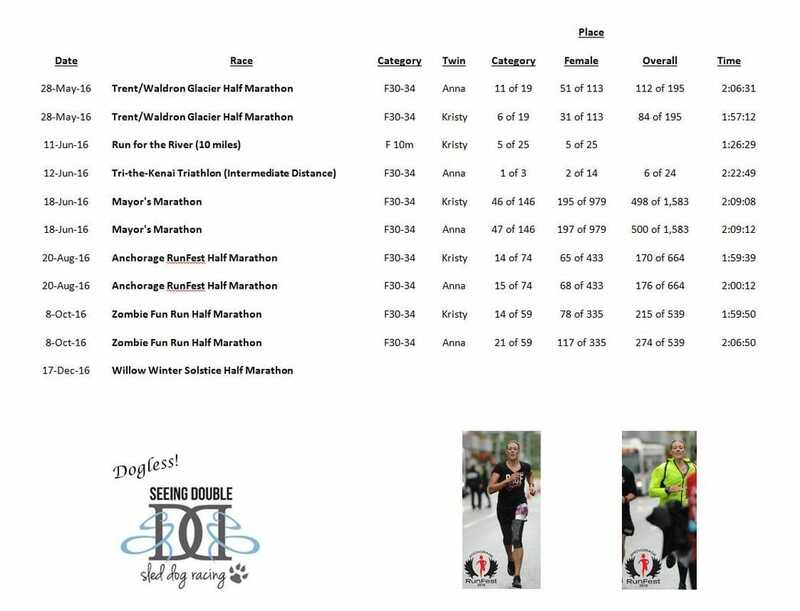 in early December, and our final dogless event on December 17th with the Willow Winter Solstice Half Marathon. 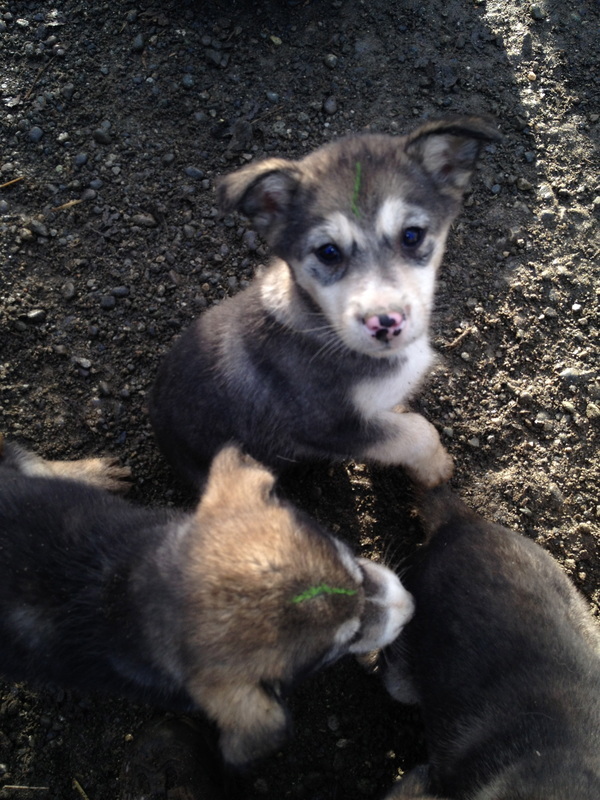 Enjoy a few pictures and final look at our dogless events of 2016. Click on any of the first 4 images, below, to view larger. 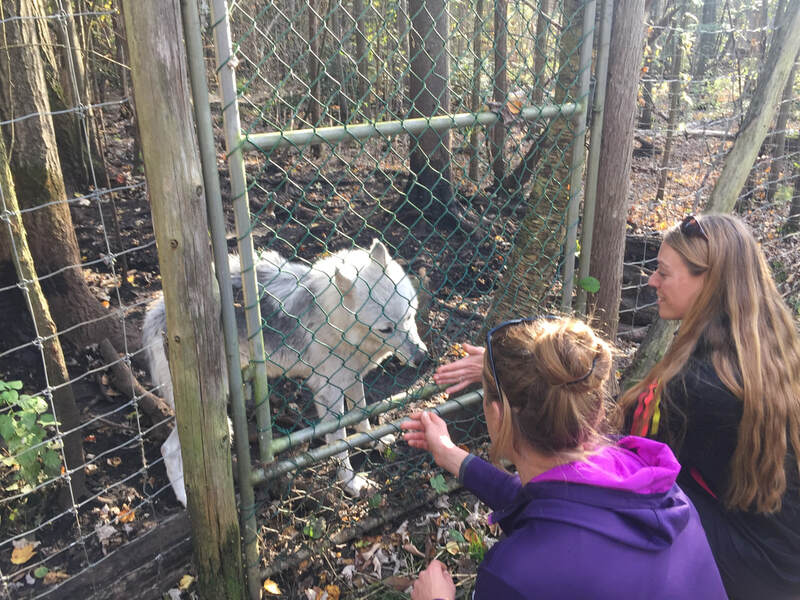 After getting the dogs settled and gear unpacked from Iditarod 2016, Anna caught a little team time out in Florida and Kristy hightailed it to Hawaii. 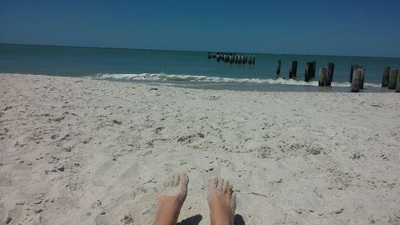 They had clearly earned some time in the sun with toes in the sand. 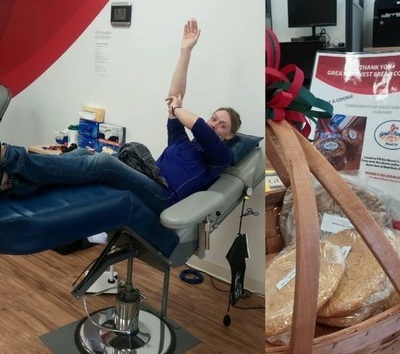 Back in Alaska, they rounded out March by giving a little back and donating blood during a local drive. When you also get a big fat cookie out of the deal, though, you still feel like the one coming out ahead. 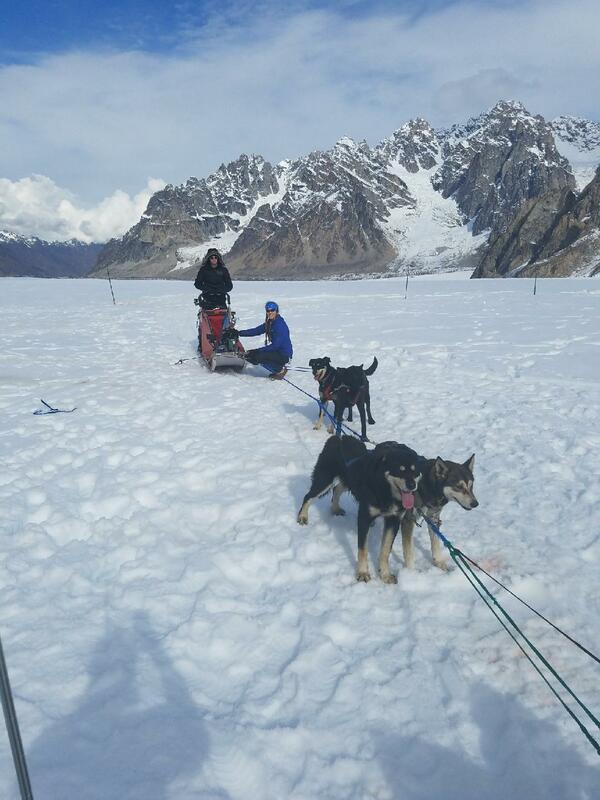 They also spent an afternoon with Kincade Elementary, giving the kids a firsthand account of the mushing life. April kicked off with an evening at the Sportsman's Show in Anchorage, courtesy of GCI, and wrapped up with an awesome hike on Government Peak and an appearance at the US Academic Decathlon Nationals in Anchorage on April 30th. 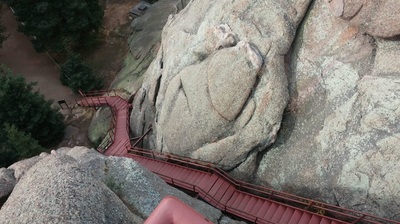 Continued below. Click on images for larger gallery view. Hiking Government Peak in late April. All play and no work makes Seeing Double a little crazy, though, so May was more about getting down to business. 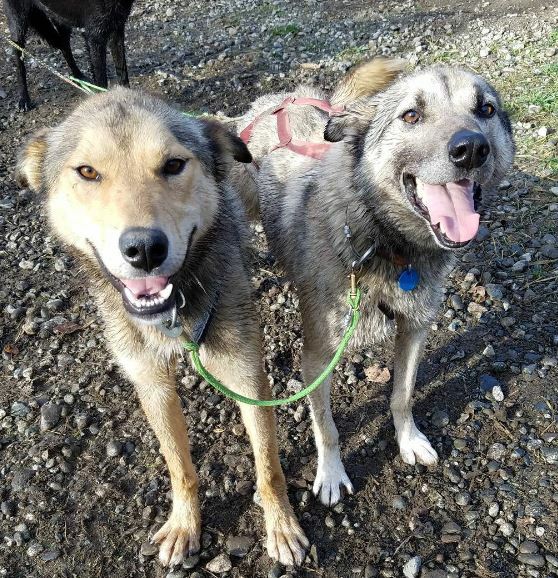 We got 34 dogs off to summer camp, who will be giving rides to tourists on the glaciers outside of Juneau. And there was no shortage of construction projects, dogs to care for, and some semblance of a training schedule to adhere to for the month that lay ahead. 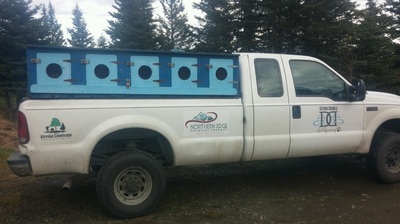 Roadtrip to take a bunch of dogs to summer camp in Juneau. 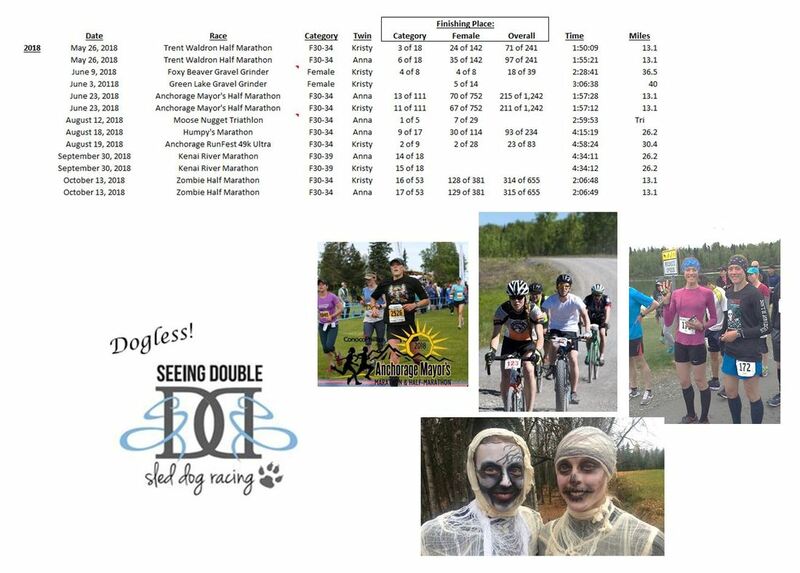 Kristy and Anna's summer dogless mushing, if you will, commenced May 28th when both competed in the Trent Waldron Half Marathon. 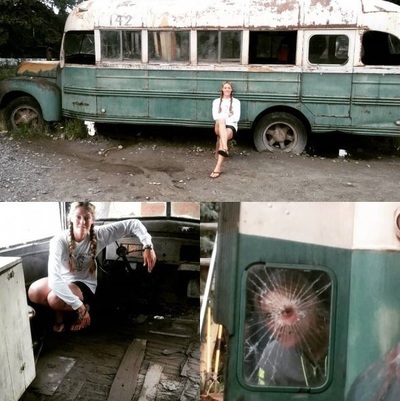 Arguably an ambitious way to kick off the season, they admitted to being slightly undertrained. But they were generally pleased with their results (which will be posted en masse, below). 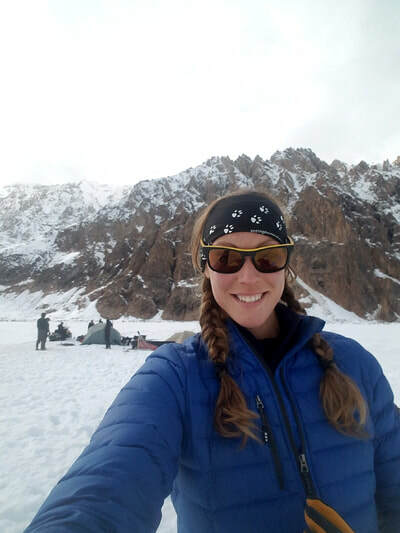 Kristy found time in early June to take a good hike up Matanuska Peak, which wasn't bad endurance training for her 10 mile 'Run For The River' on June 11th. 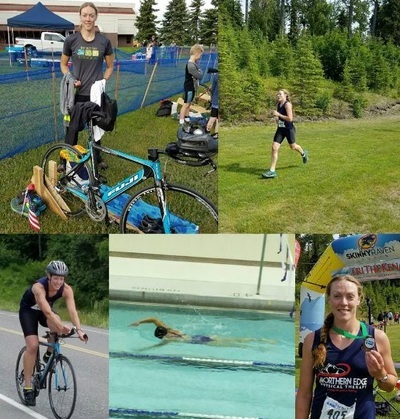 Anna's next event was the Tri-The-Kenai triathlon on June 12th, competing in the longer, adult intermediate distance class. This consisted of a 1,000 yard swim (pool), 20 mile bike, and a 10k run on the Tsalteshi Trails. Barely a week later? 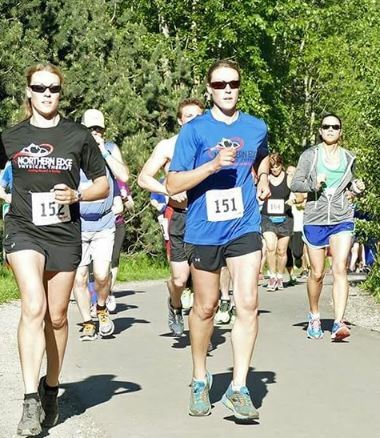 They both ran the Anchorage Mayor's Half Marathon on June 18th. Some people might be in traction after that regimen. The twins? 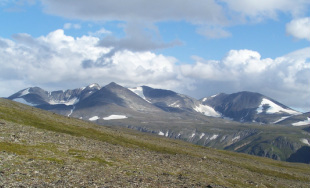 A little peak-to-peak running and hiking in Arctic Valley on June 22nd. 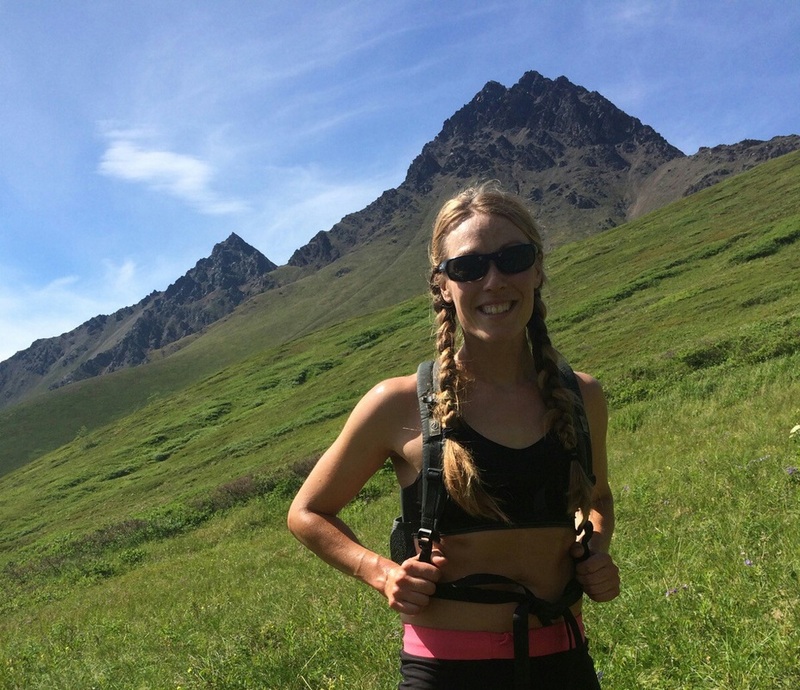 Running peak-to-peak in the Arctic Valley. 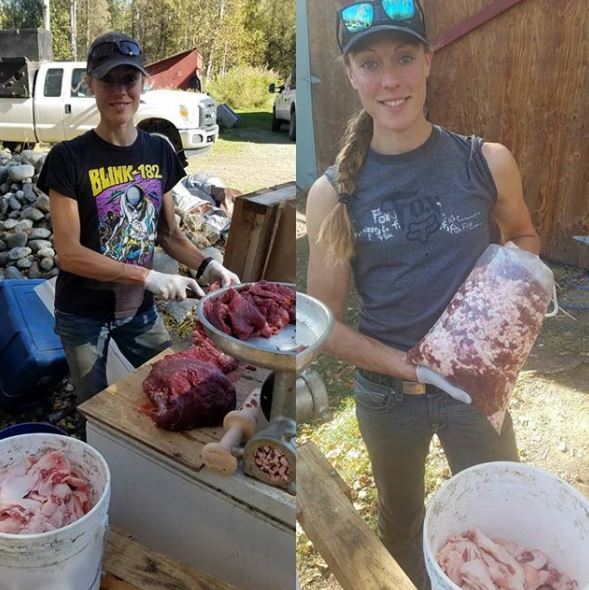 July mostly had the twins focused back on work, with Anna heading down to the Kenai Peninsula to do a bit of commercial fishing while Kristy (wo)maned the kennel and worked construction back in Knik. To wrap up this update, we have one other exciting thing to share... swing by your local newsstand and pick up the August issue of Runner's World magazine. You'll recognize the cover girls! It's a great article, too, if we do say so ourselves. Special thanks to Runner's World for recognizing us, particularly author Nick Weldon and photographer Nathaniel Wilder. We'll fill you in on the rest of the summer and fall before too long, and then bring on the snow, 'cuz training and mid distance race season starts when it does. Until then, embrace life, spread kindness, and hug a dog! 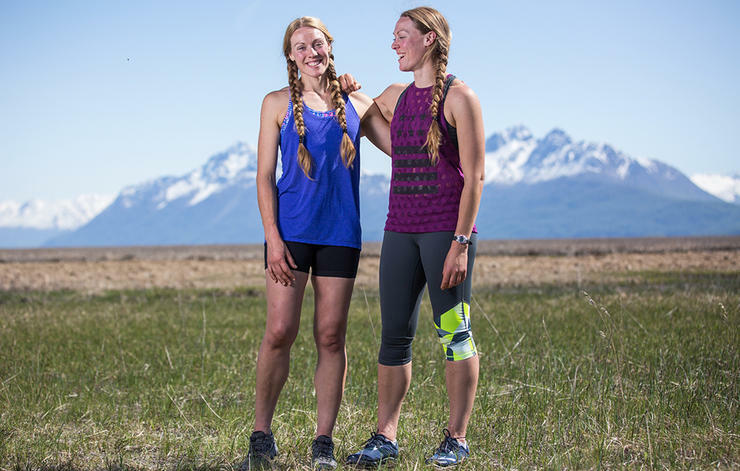 Kristy (left) and Anna pose for Runner's World Magazine, August 2016 edition. Photo by Nathaniel Wilder. Click photo for link to online article. 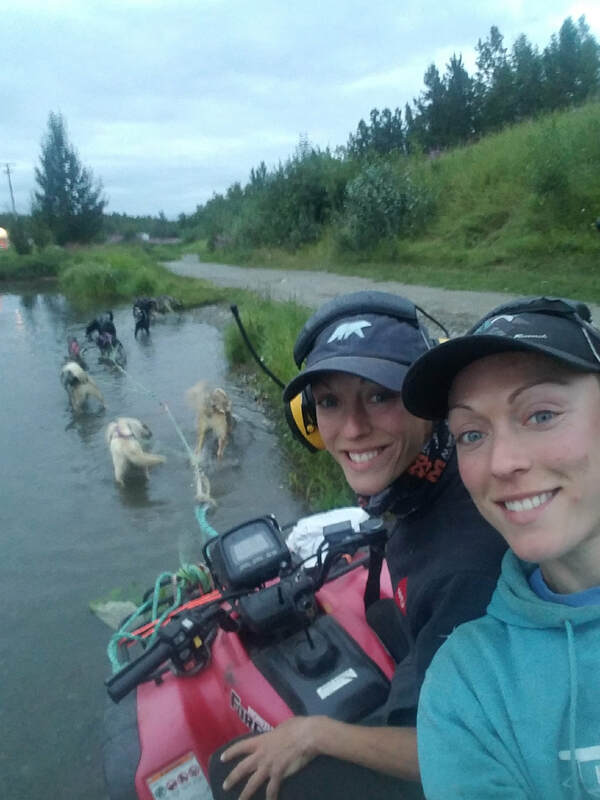 Whether on or off the Iditarod trail, it seems Anna and Kristy are always on the run. 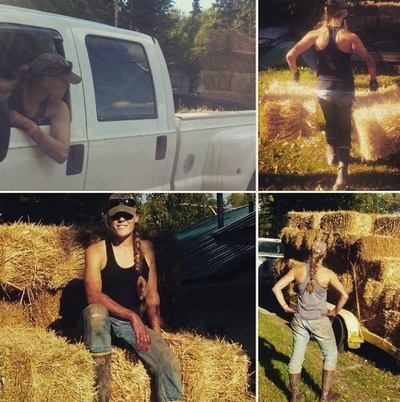 The summer and fall of 2015 have certainly been no exception. If anything, this year had the twins busier than ever before! 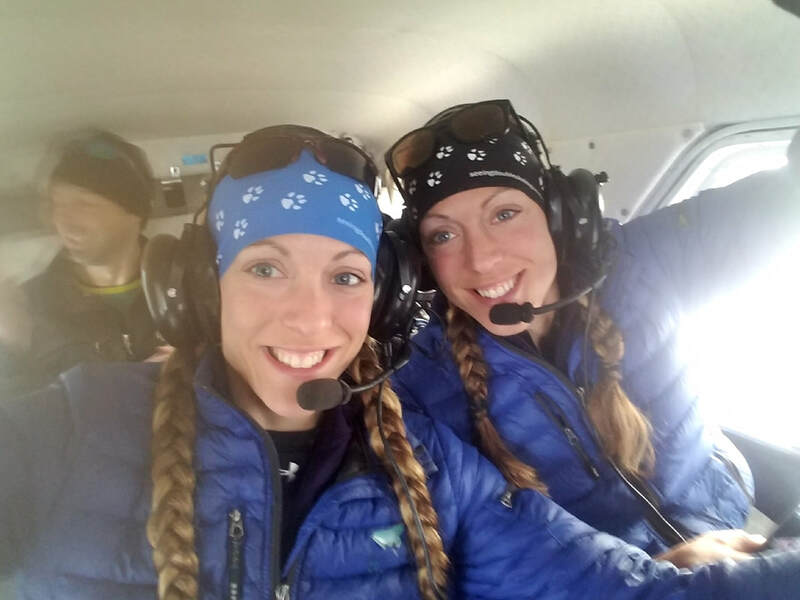 After decompressing and unthawing from the big race, the twins got themselves and their dogs settled back in their home base in Knik, Alaska. Before the snow melted, Kristy got some fat tire biking trips in around southeast Alaska. In early May, Anna and Charley made the long trek to Juneau with 30 dogs bound for camp, where the dogs would be giving tours on the glaciers to summer tourists. Kristy gets her fat tire bike on. 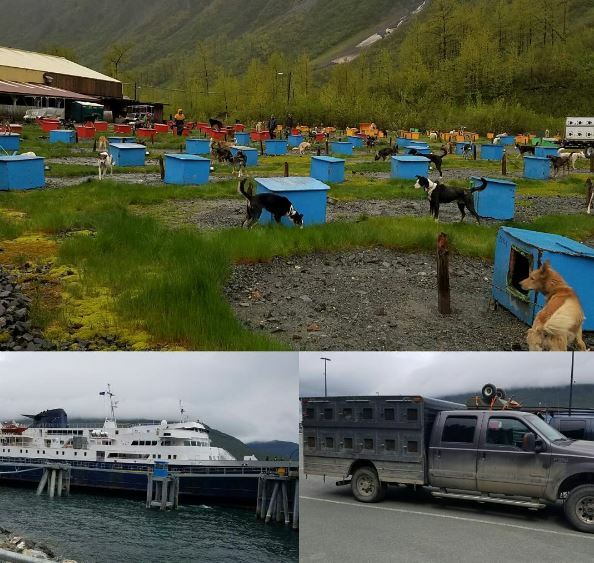 Summer Touring Camp for the dogs in Juneau, Alaska. Imagine caring for these 120 or so "campers"!! In mid-May, Kristy went to the twins' home town of Port Wing, Wisconsin, to visit our Mom and catch up with other old friends. She then hopped across the border to Canada to see sister Kat in Toronto. 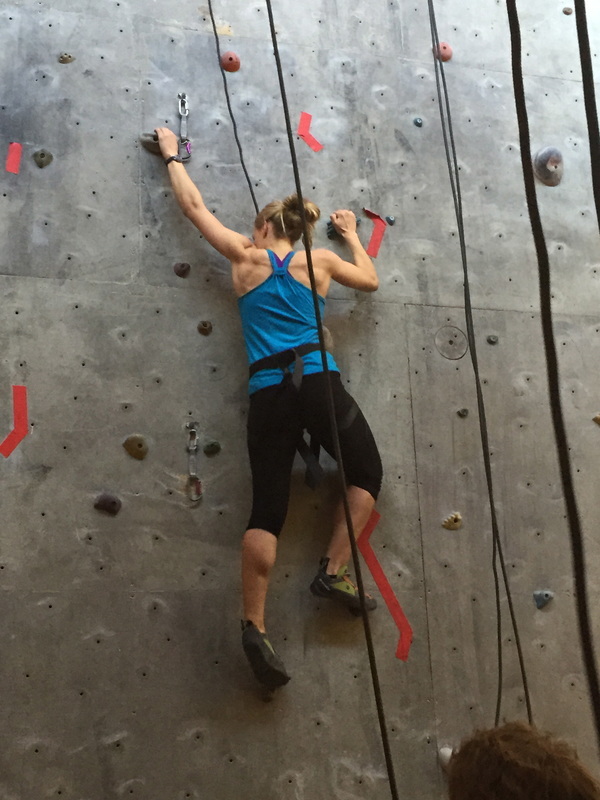 It was a super fun visit featuring some indoor rock climbing, tasty food, a concert, and a visit to the Bear Creek Exotic Wildlife Sanctuary. 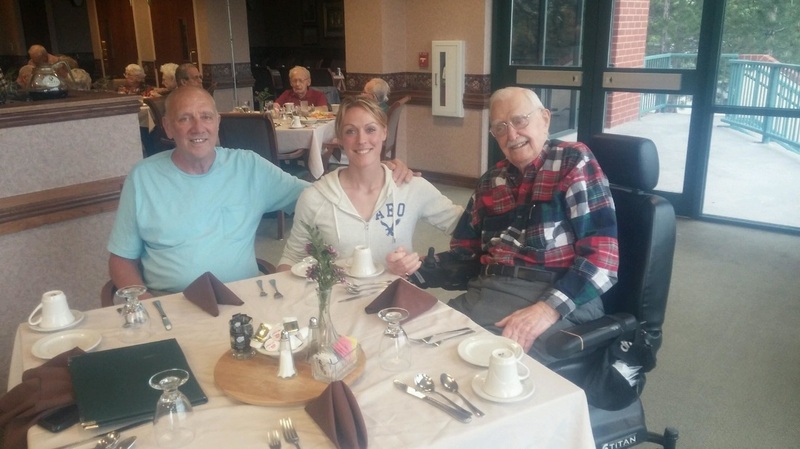 At the end of May, it was Anna's turn to catch up with family. She grabbed a flight with Charley to Colorado to rendezvous with our Dad in and around Colorado Springs, where our Aunt, Uncle, and Grandfather also live. 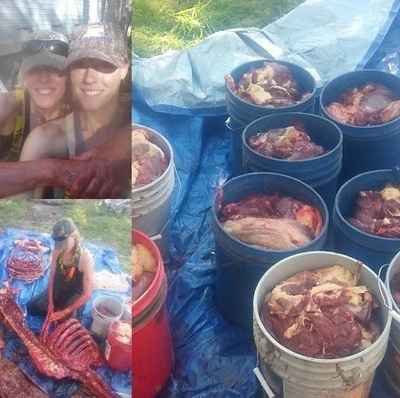 There were barbecues, camping, and hiking. 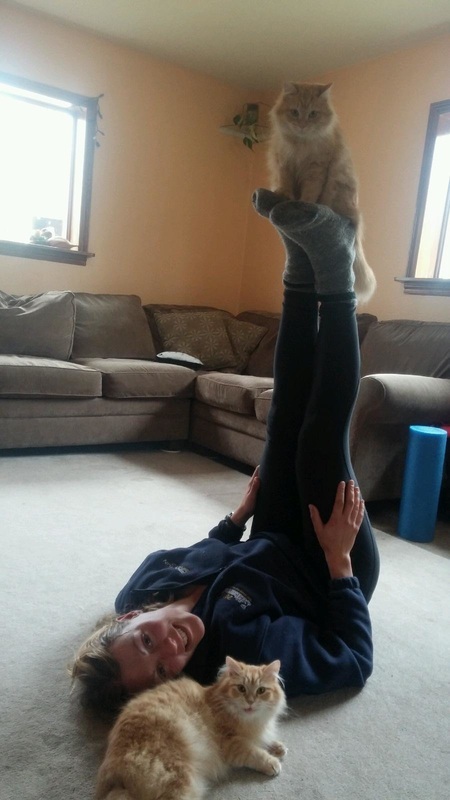 A little cat yoga… They ditched their kennel clothes for something with a bit more flair to attend a friend's wedding in July. 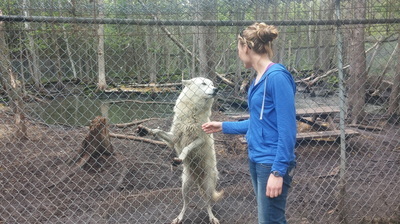 Also that month, Anna flew with Charley to his home-away-from-Alaska near Chicago, Illinois. 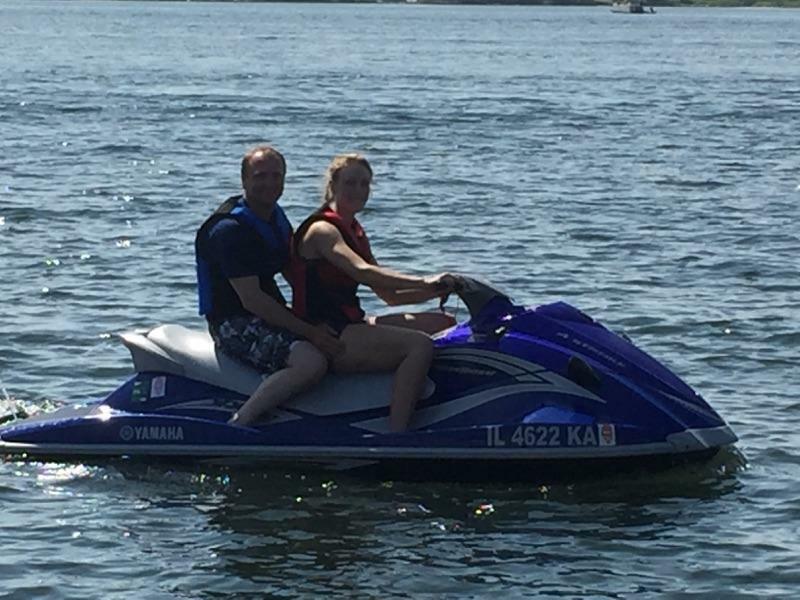 While there, she gave golf a try, enjoyed some time jet skiing, and took in a Cubs game. 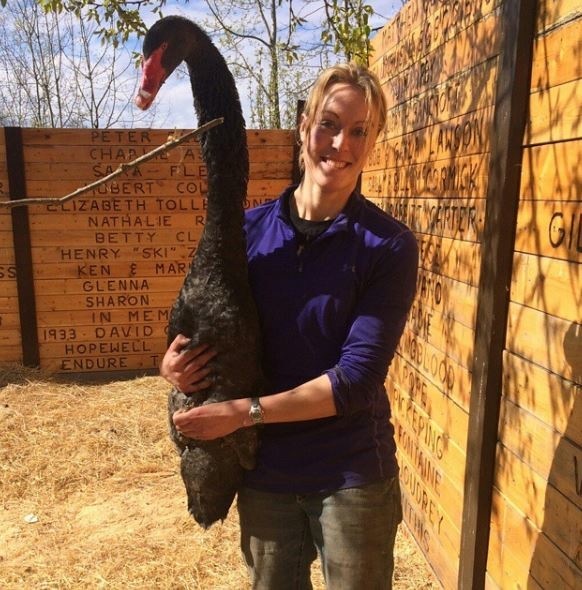 In October, it was Kristy's turn to venture to Colorado. 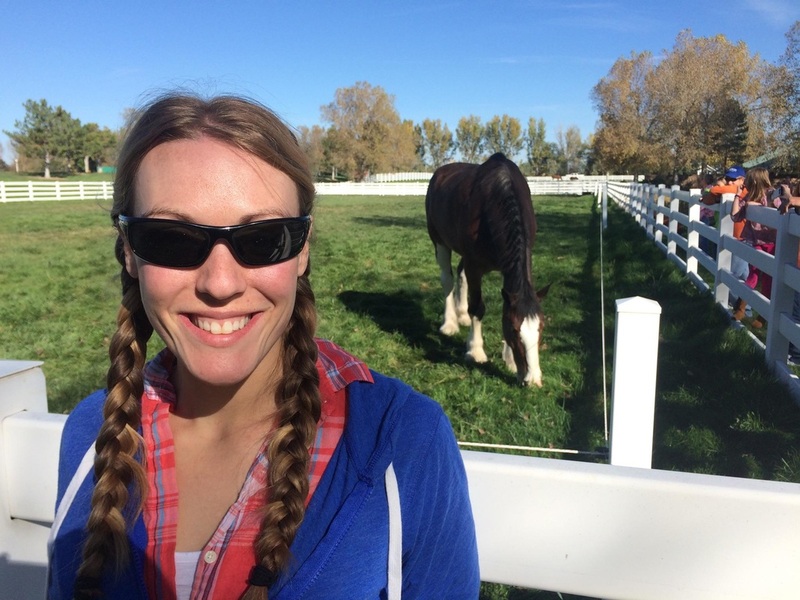 There, she and friend Andy caught up with family and hit a couple of attractions, including the Budweiser stables. 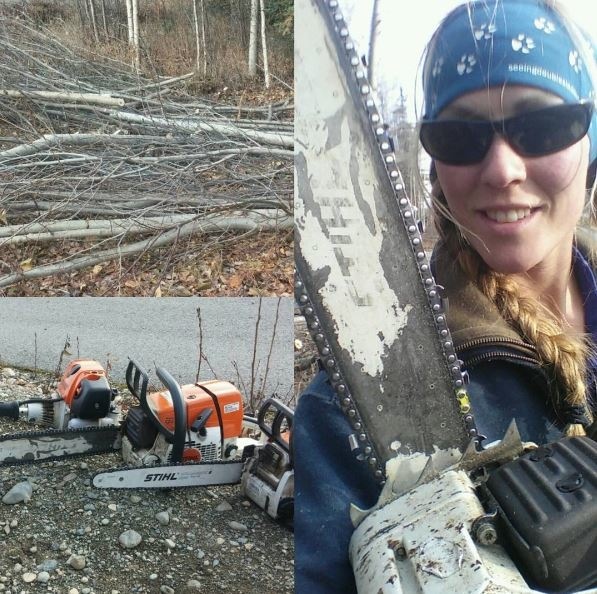 When the twins weren't traveling, they were hard at work. Caring for their dogs as well as Team Janssen's during the off season is no small task. They also worked for Janssen Funeral Homes. They made some improvements to their own dog truck, adding their own and sponsor logos, and a great dog box! 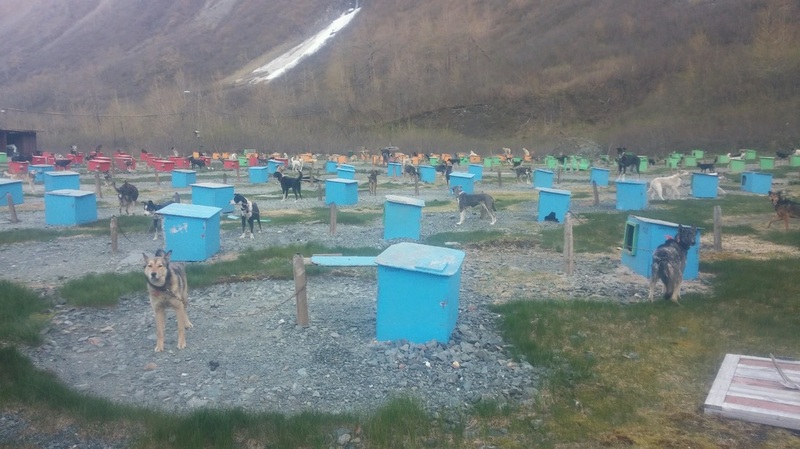 They got creative when they found someone discarding plastic containers, improvising some pretty cool canine condos. 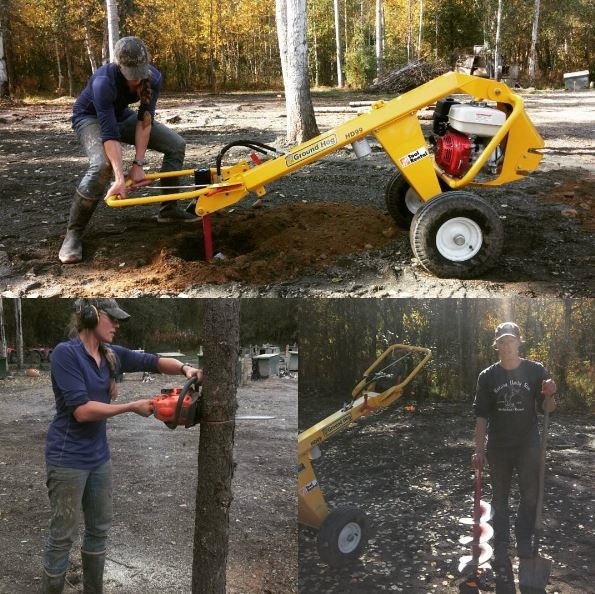 There is always something constructive getting done when these twin minds combine. 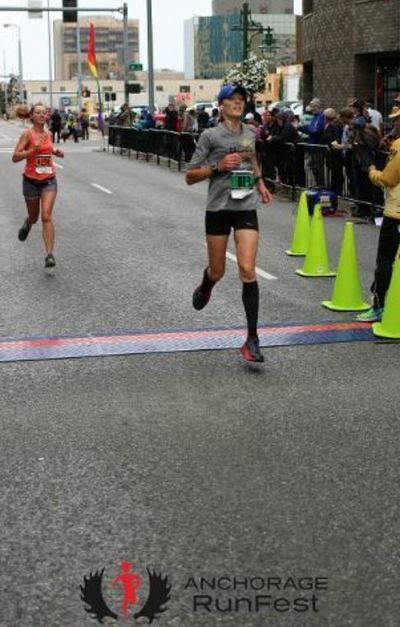 May 23: Trent Waldron Half Marathon (13.1 miles). Sunny and 60F. Kristy: 10th overall of 74 finishers, 48:30. June 13: Mr. Miles 24 Hours of Alaska Palmer, Alaska. Kristy ran a track (stopping permitted) for 24 hours, covering 85.5 miles, coming in 1st of 7 finishers (5 men, 1 other woman) and setting a new course record! June 14: Tri the Kenai Olympic Triathlon. 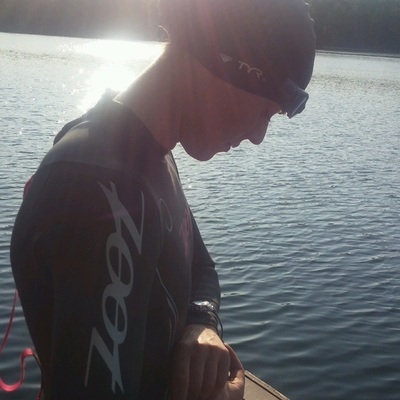 1,000 yard swim, 20 mile bike, 6.2 mile run. Anna completed this olympic-distance event in 2 hours 32 minutes. Even after the first two draining events, she did the run at a 10:11 min/mile pace. 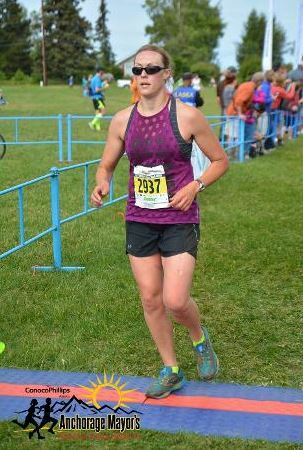 She finished 10th of 29 overall, 2nd of 9 in the female 30-34 category, and 6th of females overall. 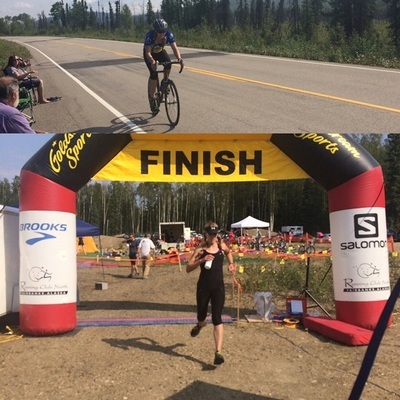 July 25: Sourdough Triathlon, Fairbanks, Alaska. 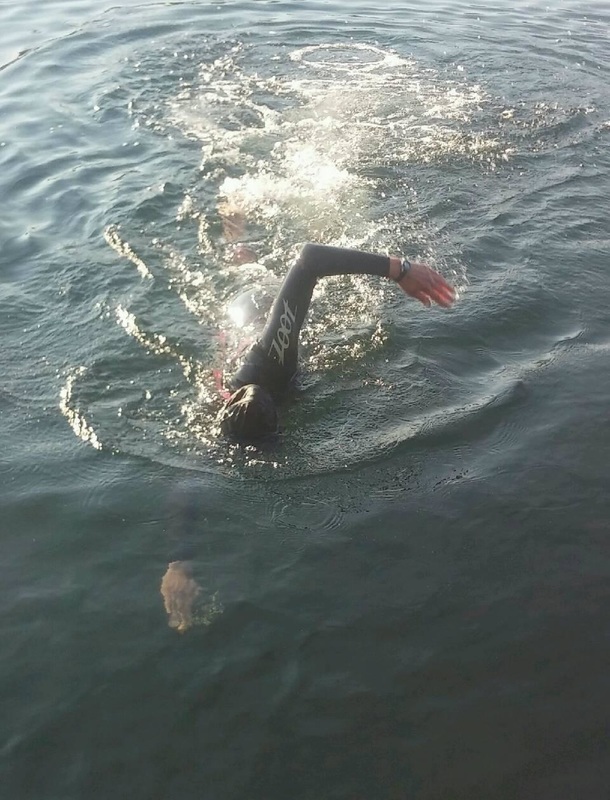 1.2 mile swim, 56 mile bike, 13.1 mile run. Oct. 10: Zombie Half Marathon (13.1 miles). This is a test of endurance, creativity, and your love of Halloween! 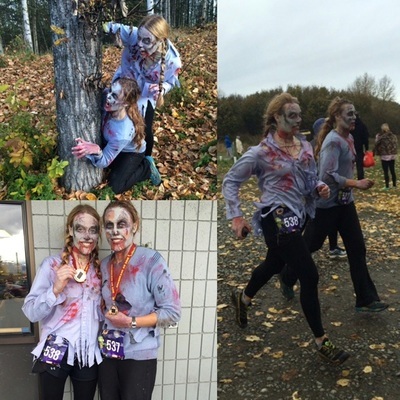 There were 671 finishers, and the Zombie Twins enjoyed themselves, coming in a comfortable 401st and 402nd place after 2 hours and 17 minutes. 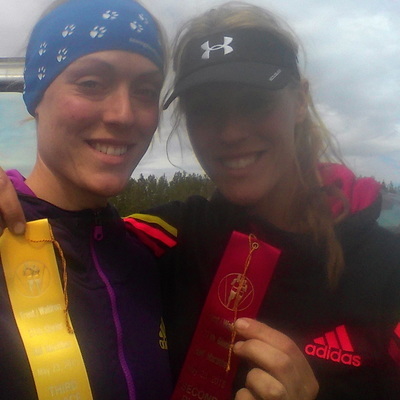 They were a respectable 35th (Anna) and 36th (Kristy) place amongst 71 females age 30-34. You might have noticed that there was a lull in competitive events in August and September. Both Anna and Kristy battled injuries this year, including plantar fasciitis and calf muscle strain. They recovered thanks to Northern Edge Physical Therapy. That pretty much sums it up. It's been busy, but it's been a blast. 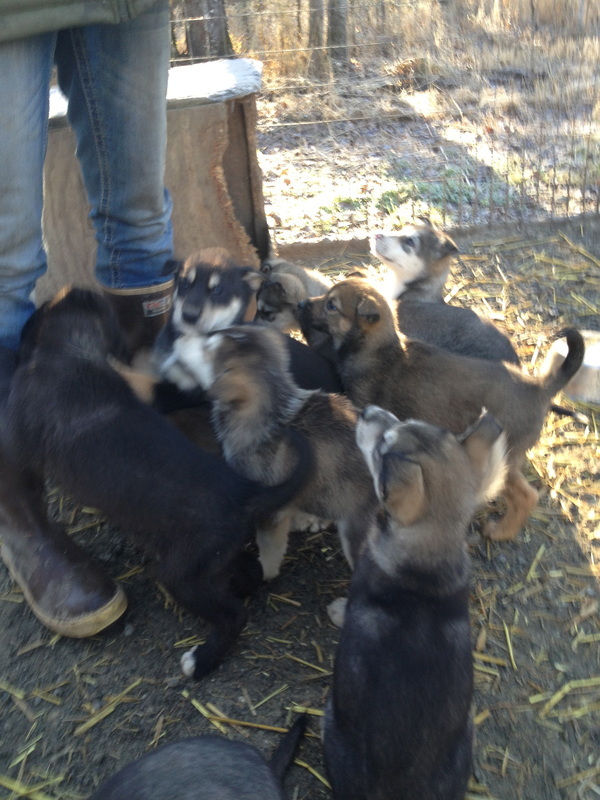 Now we're busy hitting the fall trails, training puppies, and signing up for this season's sled dog races. Bring on the snow!! We hope everyone else had a happy, healthy summer. 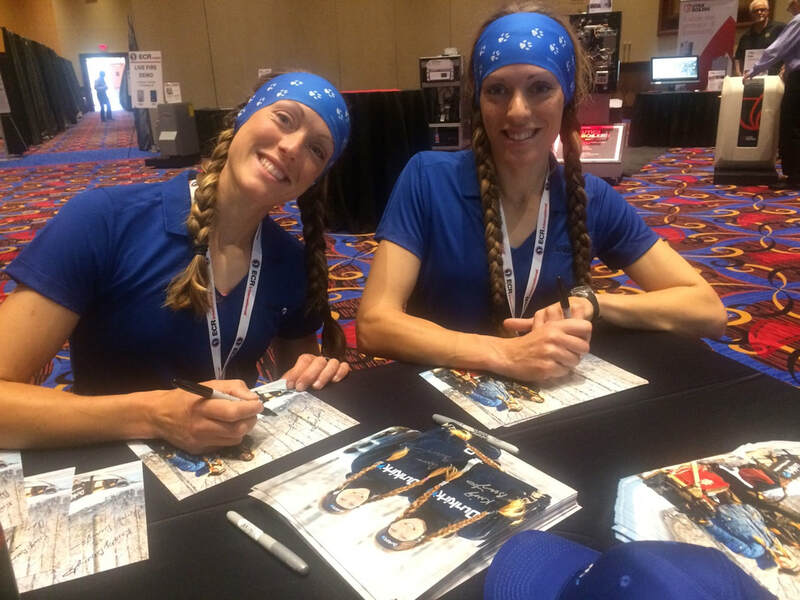 There's rarely a dull moment for the Seeing Double duo, and the summer and fall of 2014 were no exception. Here's a recap of what Anna and Kristy have been up to since getting off the Iditarod trail. 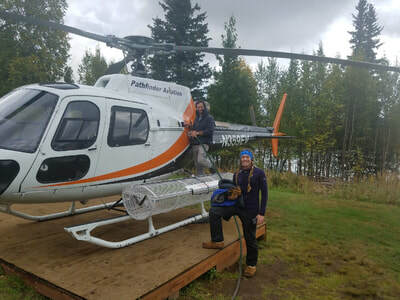 Although filmed the prior summer, the first airing of a Living Alaska episode featuring the twins was earlier this year. It is fun to watch, but we have to add the caveat that the show's ﻿producers ﻿took some creative license in telling our story. Enjoy it for the entertainment value, but read the Epilogue. 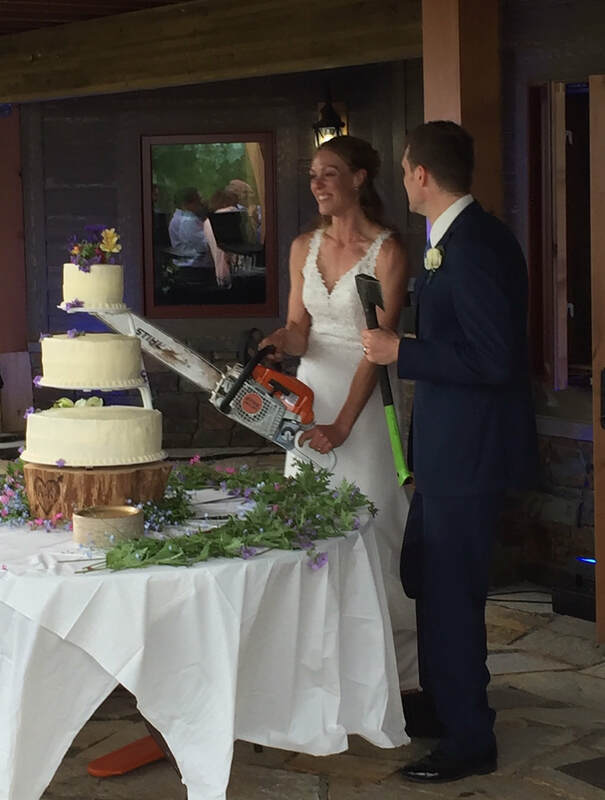 Check your local HGTV listings. Also available on iTunes and Amazon (fees likely apply). 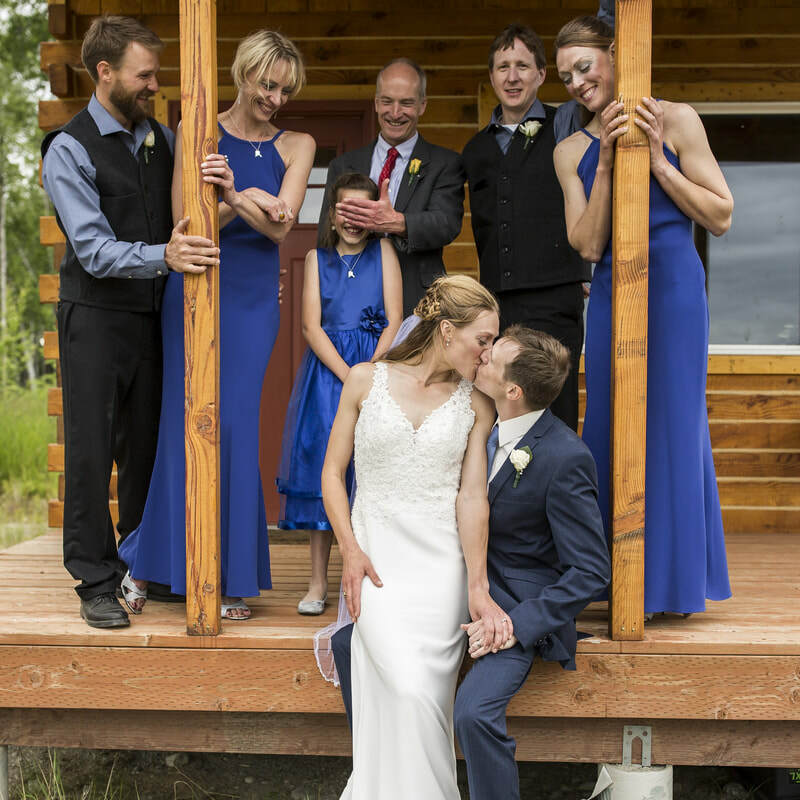 Epilogue ~ Both Kristy and Anna have been living in Alaska for a number of years. 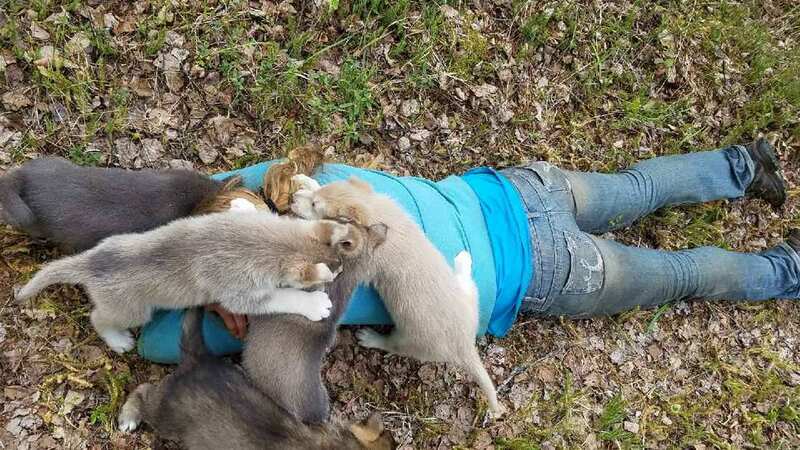 Although they would have loved to have the kind of budget for a home and kennel purchase depicted on the show, that is a dream in the making... The show's producers did a great job showing what that dream could one day look like. Until then, the twins keep working and training and caring for the dogs they love. In late May, a wildfire started on the Kenai Peninsula (suspected human cause...) and consumed some 200,000 acres (300+ square miles). 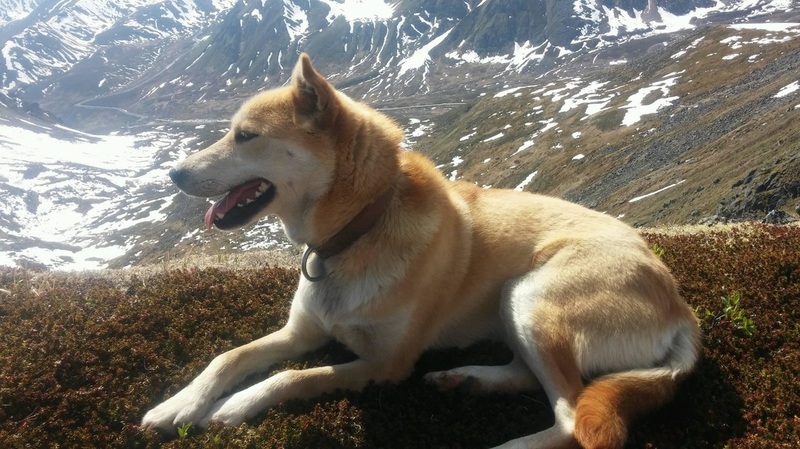 It got within miles of the kennel where Kristy worked, but fortunately no closer. 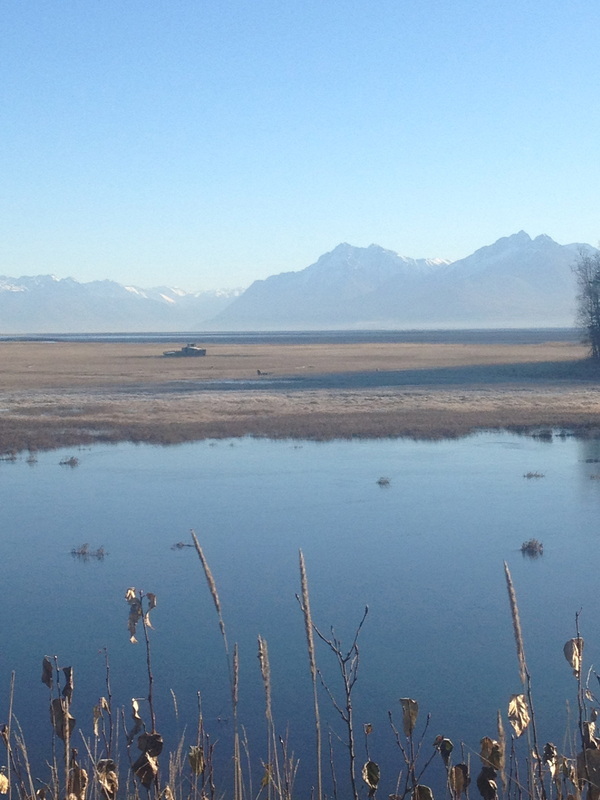 Left, smoke from the fire darkens the sky near Kasilof on the Kenai Peninsula. Anna hangs out in Wrigleyville in Chicago. Go Cubbies! 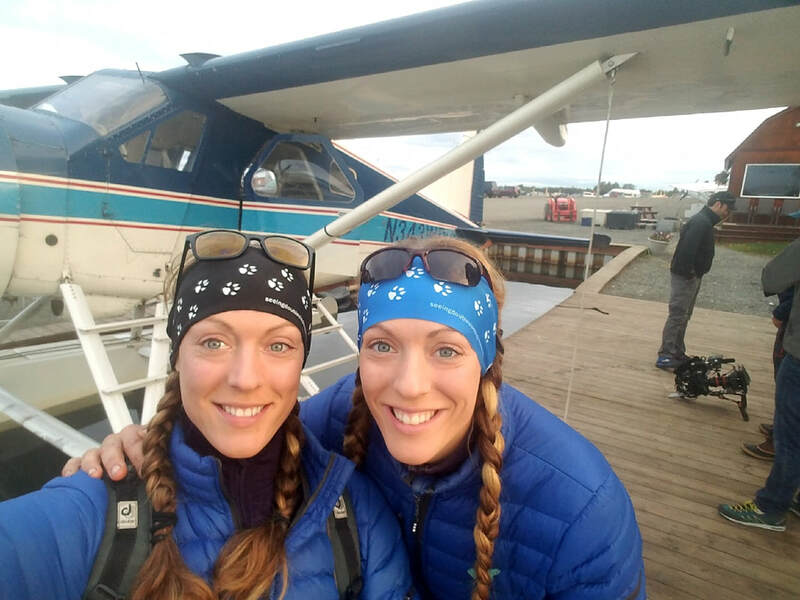 Both of the twins were able to get back to the lower 48. 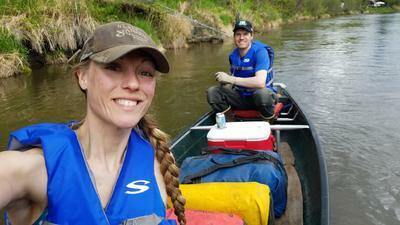 Anna made what seems to have become an annual trip to northern Wisconsin in May. While there, she 'kennel sat' for friend Lisa's dogs, and of course enjoyed quality time with Mom, who still lives in the area. Sister Kat came in from Toronto for a long weekend, and Anna enjoyed a detour home through Chicago with friend Charley. Kristy made a trip to Colorado over the 4th of July, enjoying visits with her Aunt, Uncle, and Grandfather, and another weekend cameo from Kat. Giving the dogs a run for their money! Why Not Tri, June 14: A sprint triathlon in Wasilla, AK, including 400 meter swim (pool), 9.25 mile bike, and 3 mile run. Anna finished 48th of 350 overall entrants, 13th of 241 females, and 1st of 47 females age 30 - 34. Her total time was 1 hr 6 min 32 sec. 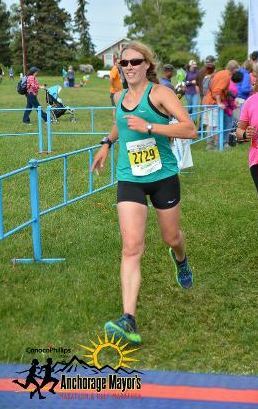 Kristy finished 66th of 350 overall entrants, 24th of 241 females, and 4th of 47 females age 30 - 34. Her total time was 1 hr 10 min 38 sec. Tri The Trails, June 21: A muddy mess of a sprint triathlon in Palmer, AK. Included 800 meter swim (open water), 13 mile bike, and 4 mile run. The weather was pretty nasty, but that didn't hold the twins back. Kristy took 1st among females age 25 - 30, Anna took 2nd. Their times were - no joke - 2 hr 36 min 26 and 27 sec, respectively. 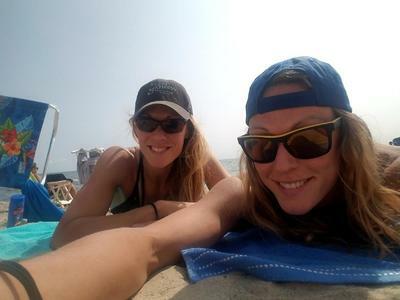 Kristy (left) and Anna during Tri The Trails in June. Have mud? Will run! Kristy shows off her mud line. 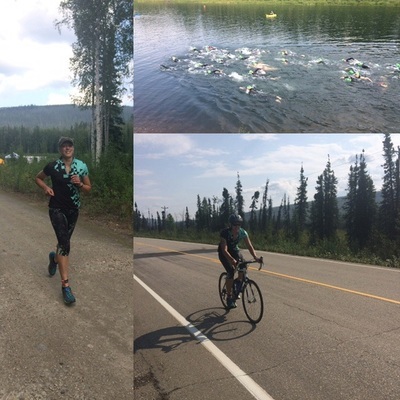 Tri The Kenai, Sept. 7: Rescheduled from June to Sept due to the wildfire, this sprint triathlon was one of the twins' favorite events of the summer. 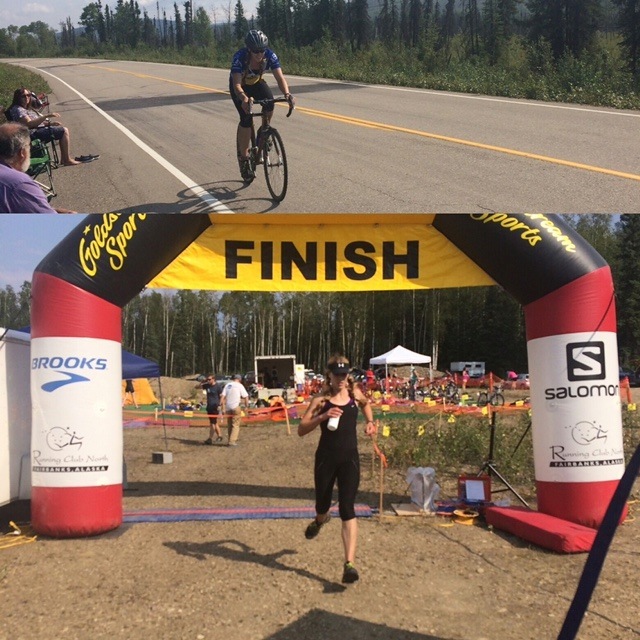 Held in Soldotna, it included a 500 yard swim (pool), 10 mile bike, and 5k race. 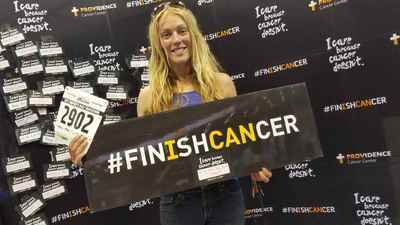 Anna finished in 2 hr 31 min 33 sec, earning 2nd of 5 females age 30 - 34, 5th of 21 total females, and 14th of 32 overall participants. Kristy finished in 2 hr 32 min 27 sec, a close 3rd of 5 females age 30 - 34, 7th of 21 total females, and 16th of 32 overall participants. Read more (including quotes from the twins!) in Dan Balmer's article Athletes Tri-the-Kenai in the Peninsula Clarion. 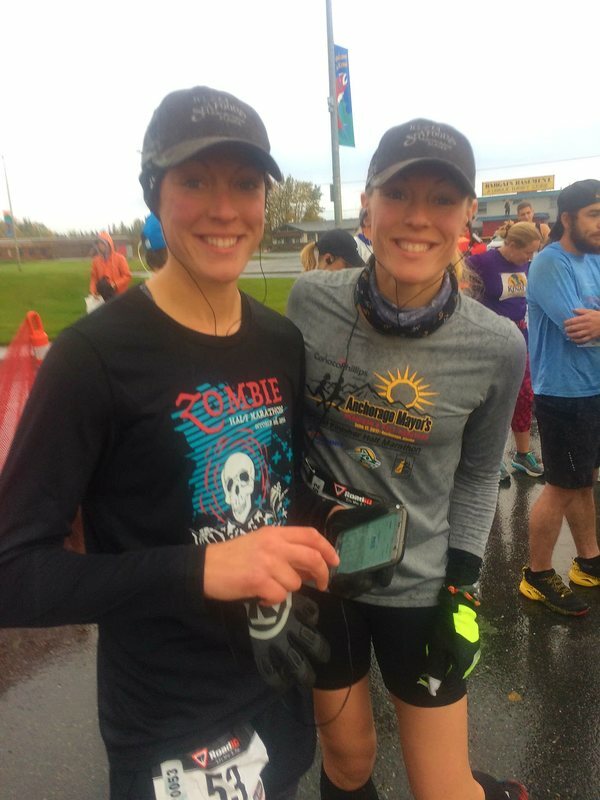 Kenai River Marathon, Sept. 28: This was Anna and Kristy's first full marathon, 26.2 miles in and around Kenai, AK. 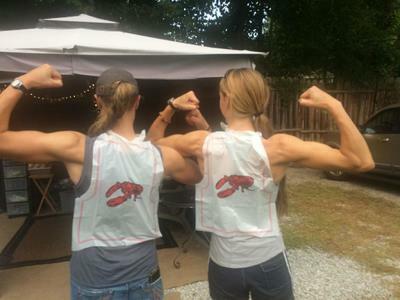 The twins crammed their training into only a few weeks, or half the time recommended by many standard programs. But they were pleased with their results! Kristy finished in 4:25:59.05, 17th of 33 total females and 8th of 13 females age 30 - 39. Anna finished a half minute later in 18th of 33 total females, and 9th in their division. Their pace was 10:10 per mile. 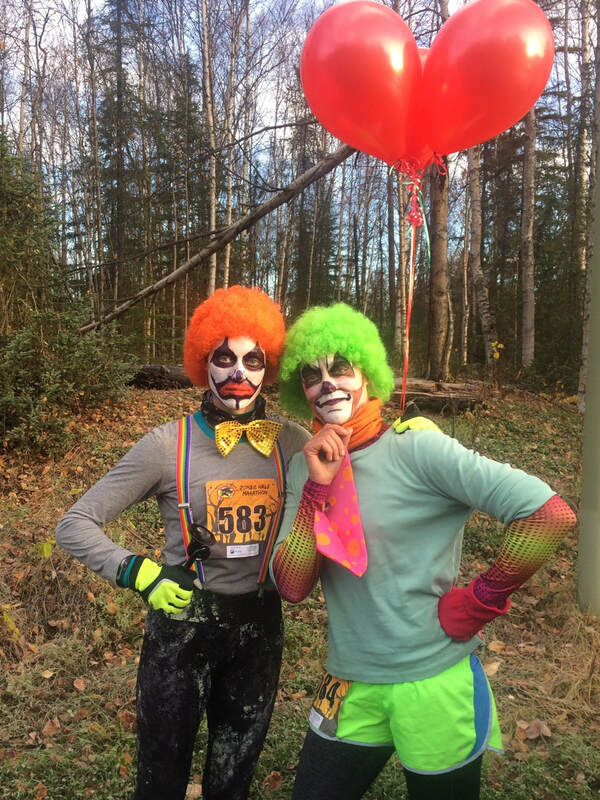 Zombie Half Marathon, Oct. 18: This half marathon in Anchorage is taken seriously by some, and a chance to celebrate Halloween by others. Clearly the Skeletwins chose the latter. 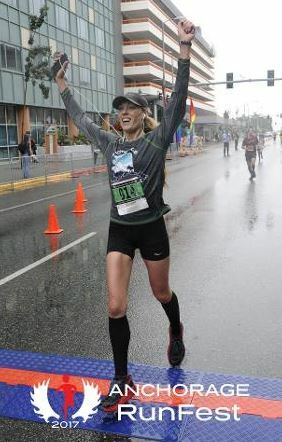 Kristy finished in 1:49:49, scoring a sweet 135th of 773 total entrants and 6th of 80 females age 30 - 34. Anna finished 2 seconds later in 1:49:51, but one person snuck in between, so Anna ranked (and maybe slightly rankled...) in 137th of 733 overall entrants and 7th of 80 females age 30 - 34. An impressive showing, especially in hooded costumes! The twins sporting medals after their first full marathon. 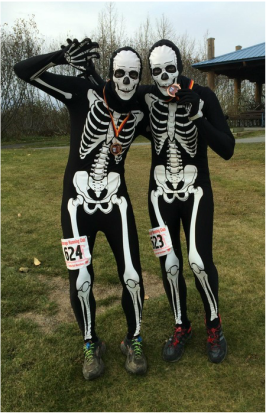 The Skeletwins bared their bones during this year's Zombie Run in Anchorage. And before we knew it, weather forecasts started calling for snow again, sled dog race registrations opened, and our fall training schedule began in earnest. 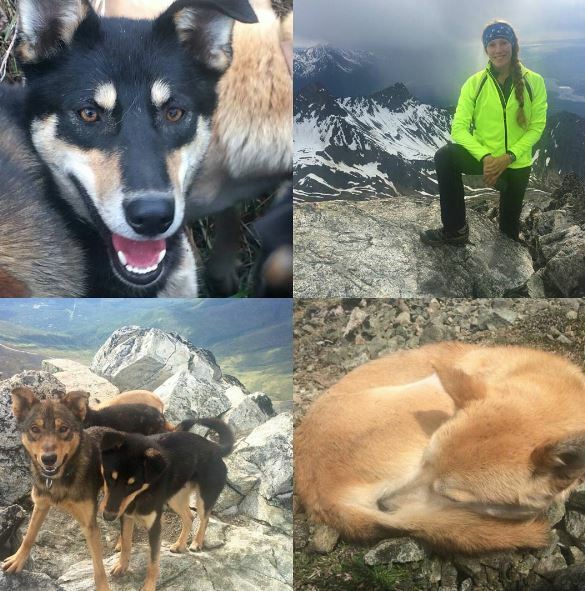 We're happy to report Kristy has relocated with her dogs to Knik, Anna'a current neck of the Alaskan woods. 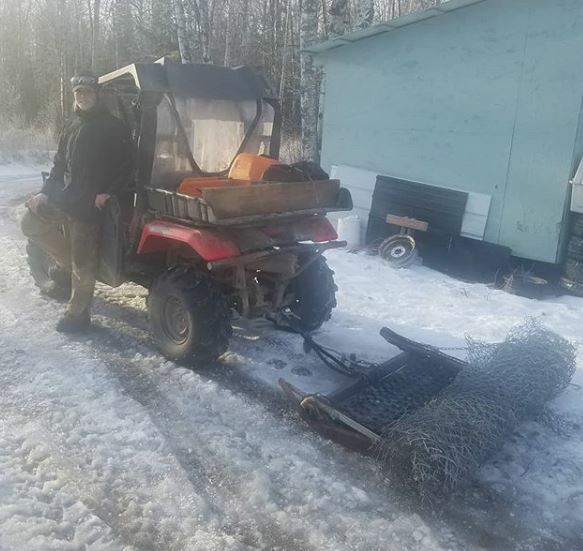 We're signed up for a number of races, and running 12+ mile "moto-mushing" runs daily now in preparation. Send all thoughts of snow our way, and check back for mid-distance race updates! Not long after the last great race wrapped up in March, Anna gave a great interview on KVRF 89.5 FM Mushing Radio. But don't take our word for it! 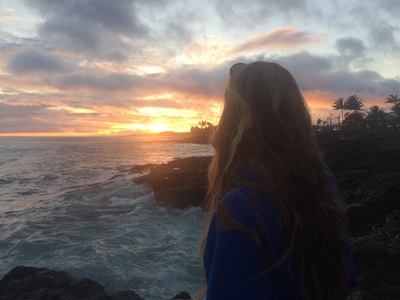 Listen to Anna's interview. The month of May brought some travel for both twins. 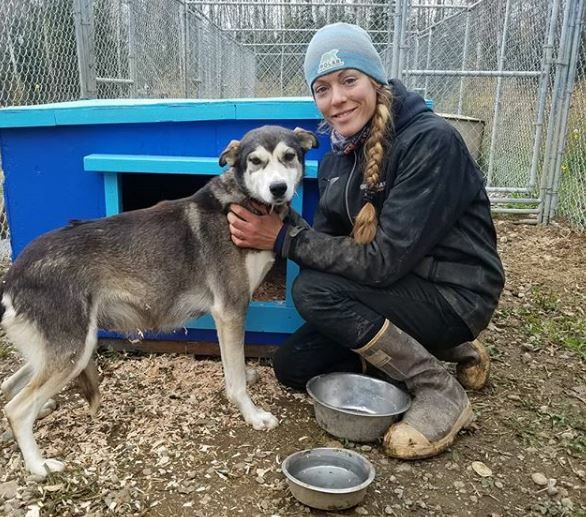 Anna headed back to Wisconsin to help childhood mentor Lisa with the dogs in her kennel for a couple weeks, while also spending some quality time with Mom and older sister, Kat. Kristy made a trip to Colorado to visit family, take in the sights, and even managed to make a presentation to an area elementary school class. Kristy takes in the sights in Colorado. 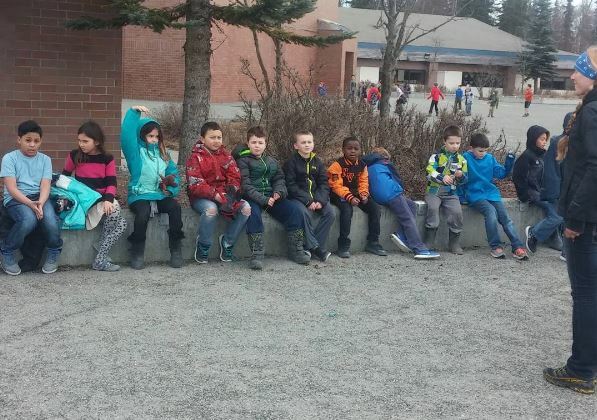 Kristy meets with elementary school kids during her trip to Colorado. 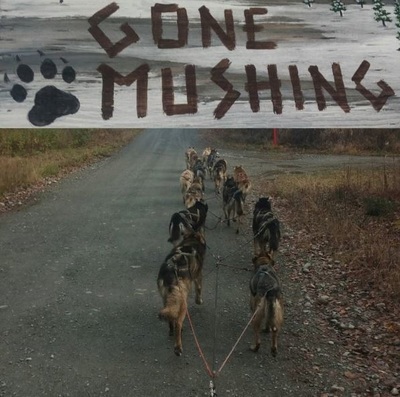 Just because it is summer doesn't mean folks aren't thinking about mushing. The twins were spotted on Discovery Channel's Flying Wild Alaska on June 29th. They were featured in Issue 43 of AlaskaMen Magazine. 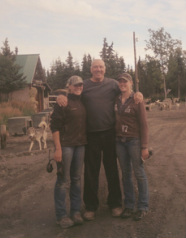 And they also got to work with Albert Lewis on the development of his new book: Born to Run ~ Athletes of the Iditarod. 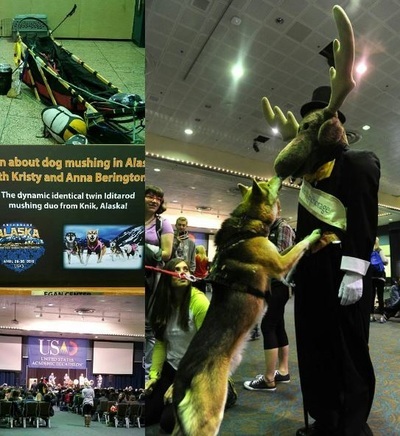 This coffee table book will focus on the amazing dogs that run in the Iditarod each year, featuring beautiful artistic photographs from a variety of Alaska kennels. To learn more about this project or reserve a copy of the book, visit Albert's site. 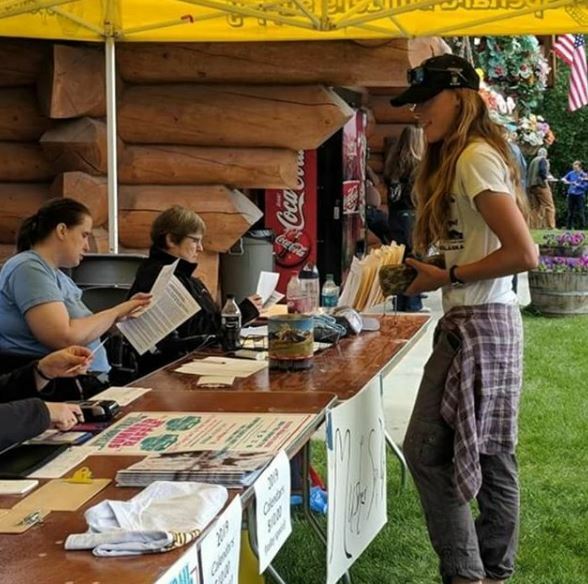 Mid-summer brought the Iditarod Trail Committee's annual picnic and early registration. 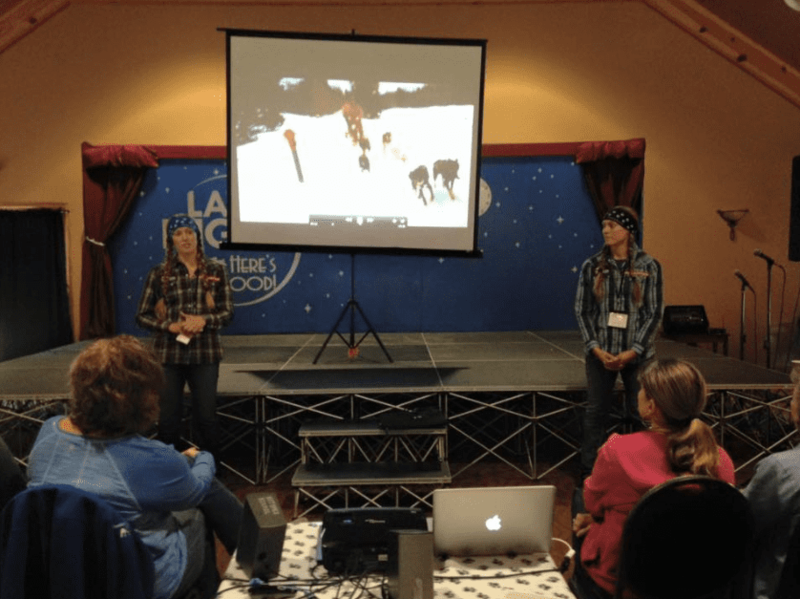 Fifty-four mushers signed up for the 2013 Iditarod during the picnic, including Kristy and Anna, as well as our friends Paul Gebhardt and Scott Janssen. Sadly, Anna had to work during the event so she wasn't able to attend in person. But Kristy was there and she even got to share some thoughts on summer training and puppies during this Iditarod Insider clip. Most recently, the twins participated in the Tsalteshi Trails Association 5K Zombie Run in Soldotna on October 28th. 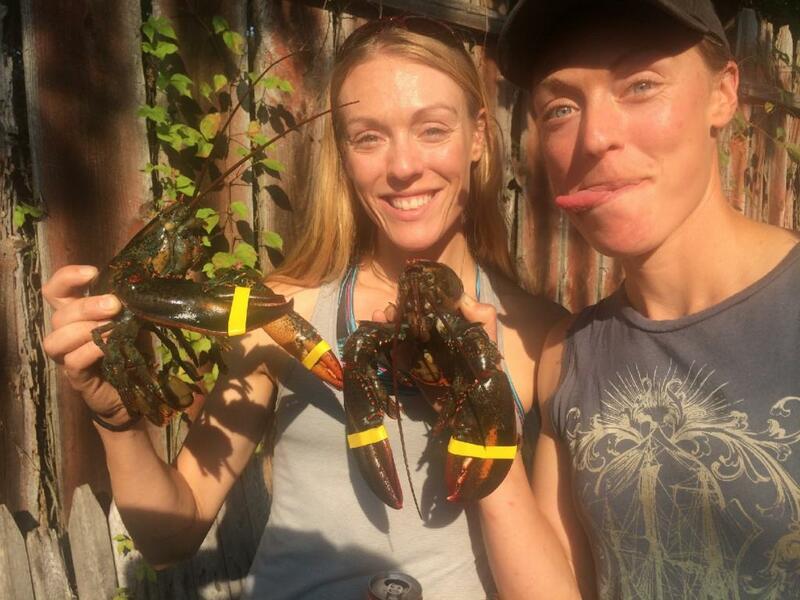 This year, Kristy and Anna dressed up as escaped prisoners. In addition to convict garb, they decided to get creative and shackle themselves together with real chains. It was a great idea presentation-wise, but running in tandem with another person while carrying upwards of 20 pounds of chain makes a 5K run feel more like 10K! 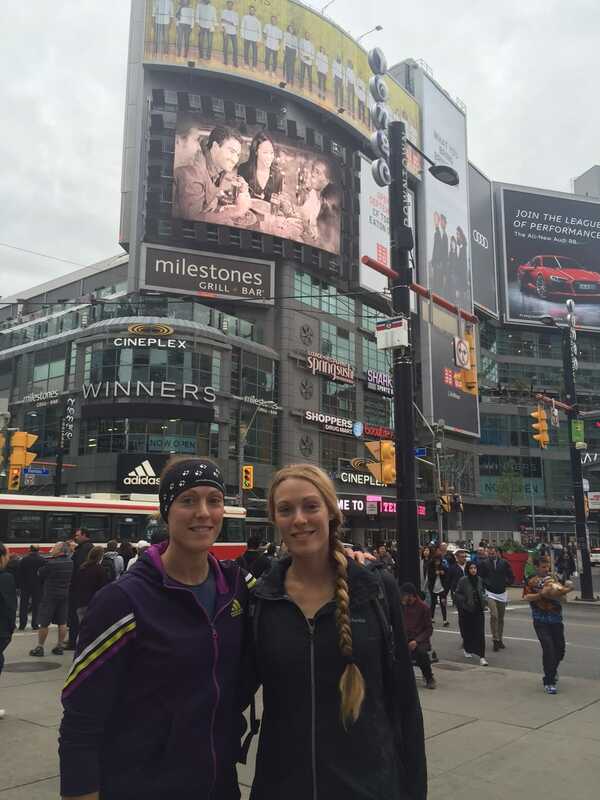 Despite that, the twins finished in 2nd and 3rd place in the Women's division in just over 27 minutes. Of course, all of the above are fun highlights. 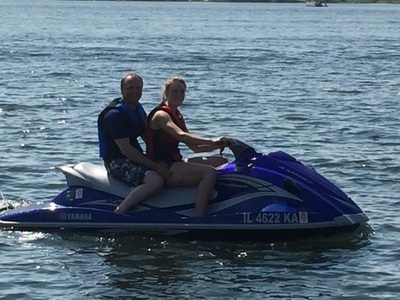 What were the twins doing with the rest of the extra summer daylight? 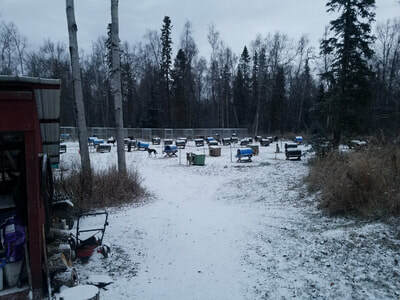 The snow may have gone, but all the dogs are still there! Which of course necessitates twice-daily feedings and cleaning up the dog yards, training and socializing puppies, and general care and maintenance. 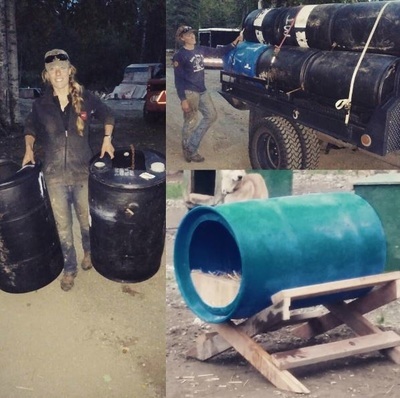 Summer is also the time for Kristy and Anna to work as much as possible to replenish their bank accounts to help fund the winter's mushing addiction. 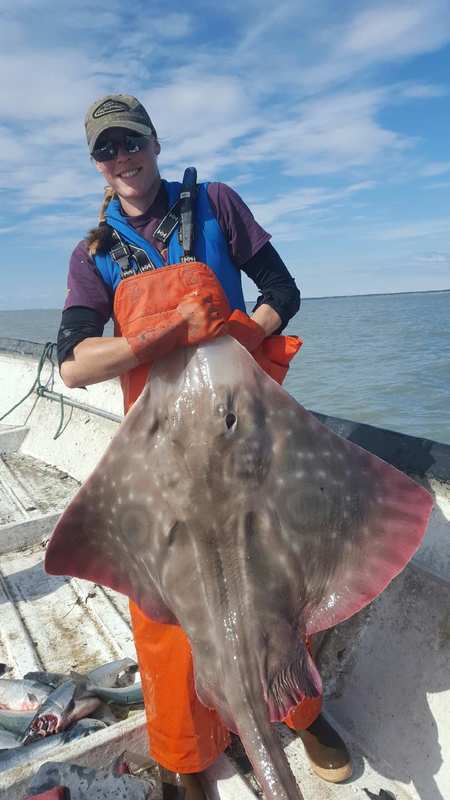 Normally, Anna would have spent a lot of time commercial fishing. 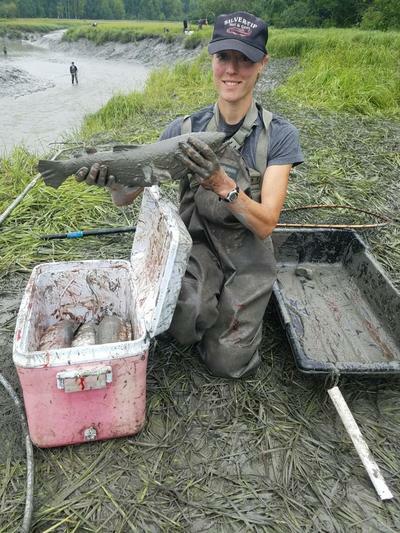 Unfortunately, concerns over king salmon stocks in the Cook Inlet area led to widespread fishing limitations, leaving commercial "set netters" like Anna on dry land. 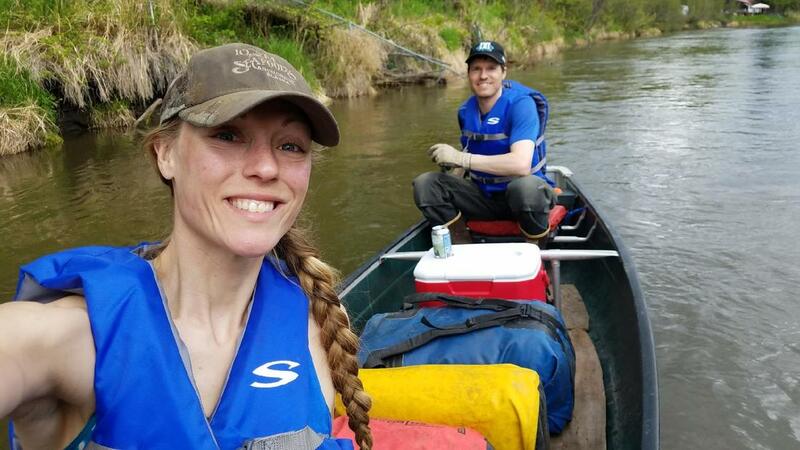 There was still construction work to be had, which was Kristy's primary focus and gave Anna something to supplement the lack of fishing. And now, as the temperatures drop and "chance of snow" again becomes a staple of weather forecasting, we say goodbye to summer and anxiously look ahead to the sled dog racing season! We're now part of the BARK program! 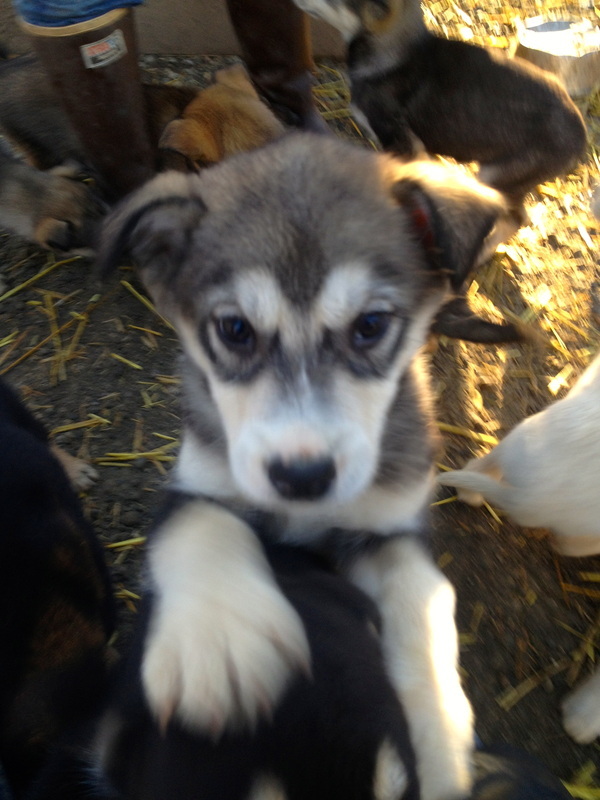 Click on the logo to go to our sponsor page and learn how you can Buy A Round of Kibble!